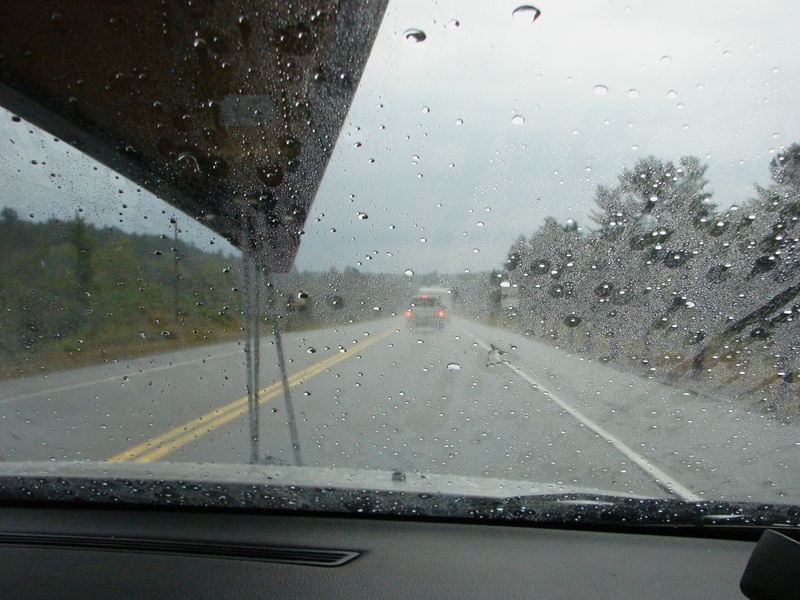 One thousand miles of road faced our canoe-topped car as we set off to visit Wabakimi Provincial Park. This is where we would find the island paradise of an eccentric American inventor who had acted as the island’s custodian until his death in 1980. 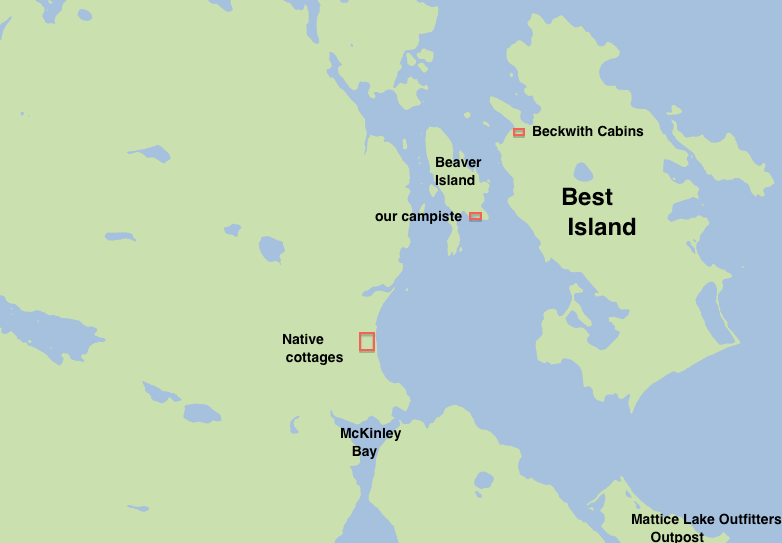 The island itself is called Best and it was, according to the personal mythology of its custodian Wendell Beckwith, the veritable “center of the universe”. 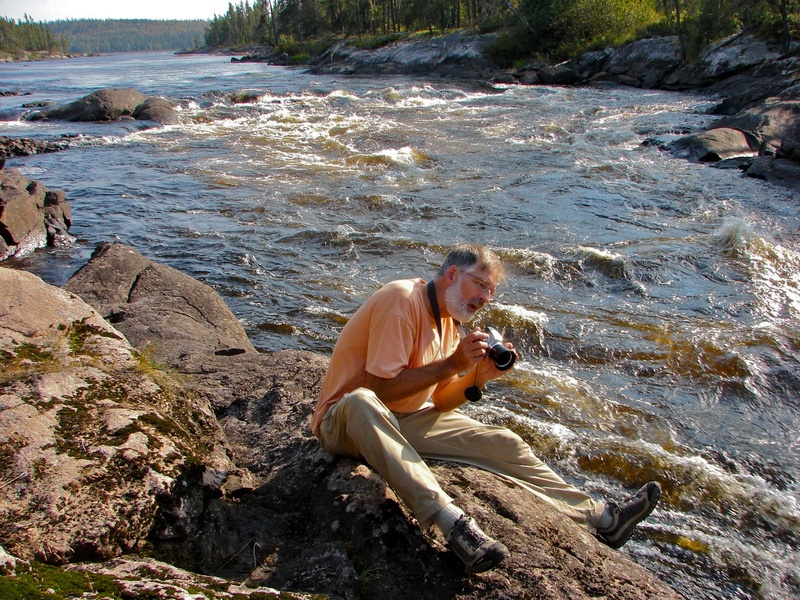 A chapter in Kevin Callan’s book Quetico and Beyond had first pointed us in the direction of the wilderness of Wabakimi Provincial Park in northwestern Ontario. 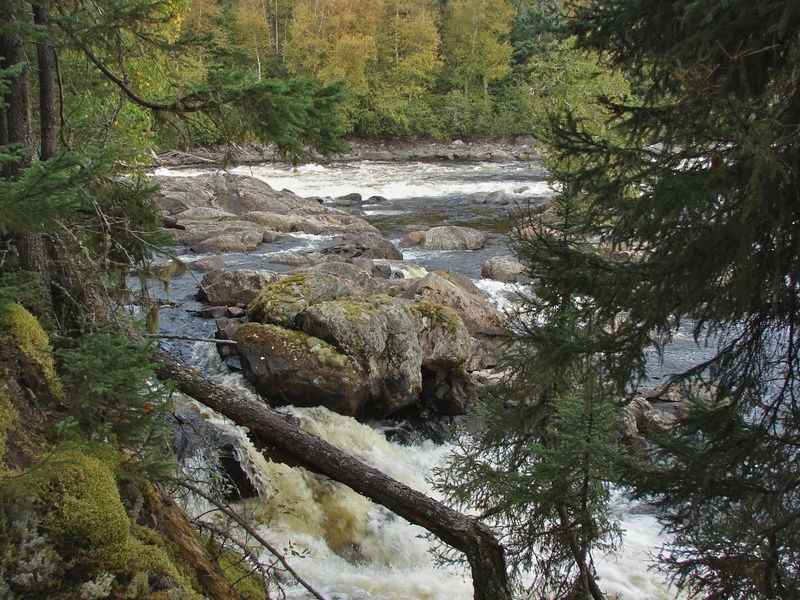 In the book Callan spends a chapter recounting his visit to Beckwith’s retreat and describing the region in terms of canoeing possibilities. We had never even considered paddling there – distance may have had something to do with it – but Callan’s narrative hooked us. 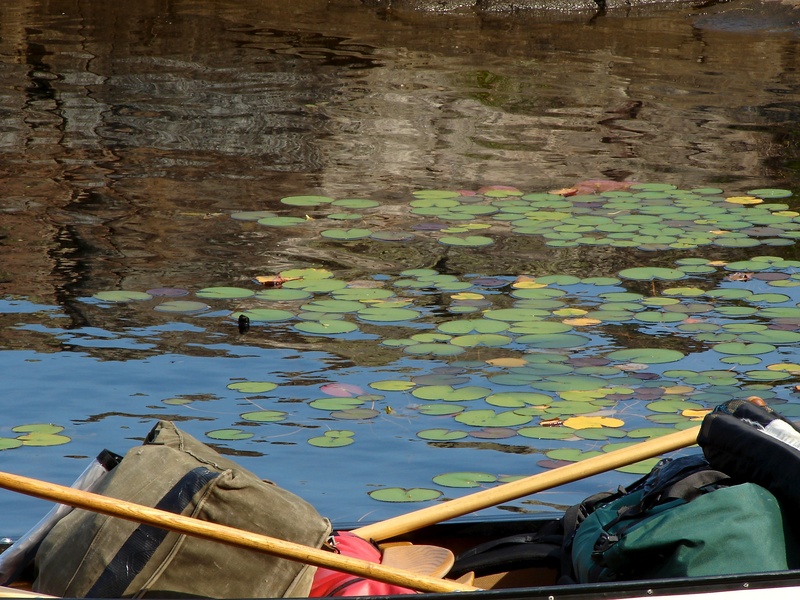 We had two weeks for our adventure – ten of actual paddling and four to get there and back. In the end “the center of the universe” proved to be an elusive point and here we are, back on the circumference, a little like Jason without the Golden Fleece, but still richer for the journey. Read on to find out what happened! 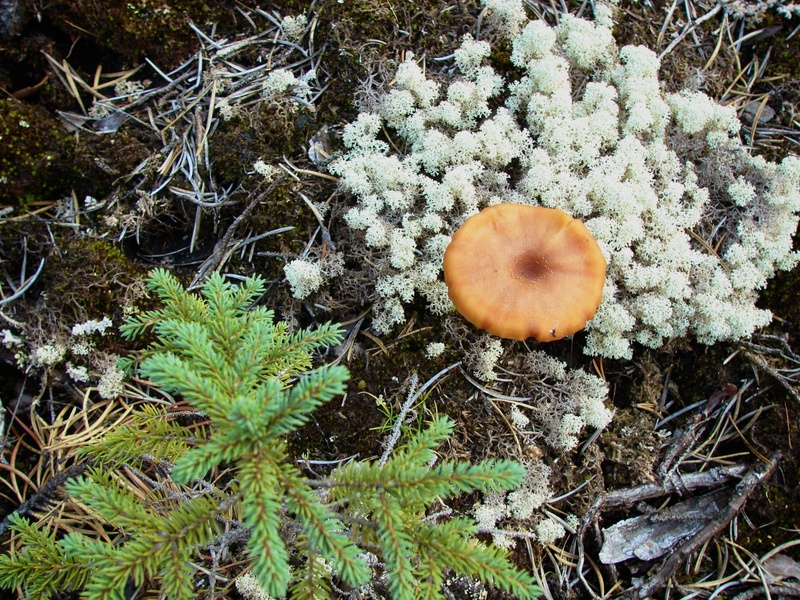 Where Is Wabakimi Provincial Park? Created in 1983 and enlarged in 1997, Wabakimi P. P. is greater in area than a number of U.S. states and the Canadian province of P.E.I. Here is a Google view of where it fits in the grand scheme of things with A for the end of the road (Armstrong Station), B for the canoe put-in Point (Allan Water Bridge), C for the Lake the park is named after (Lake Wabakimi), and D for the northernmost point of our trip and the location of Beckwith’s “centre of the universe” (Whitewater Lake). 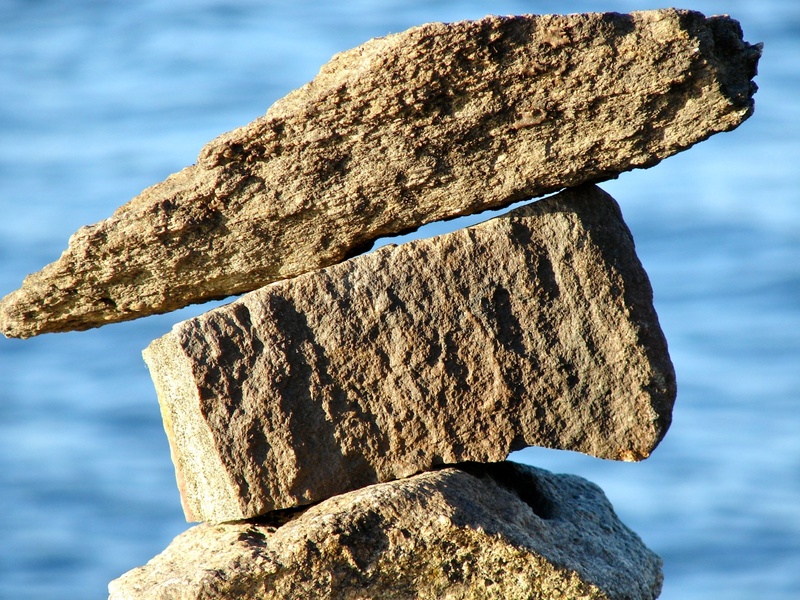 When it comes to Wabakimi, your road will first take you to Thunder Bay. 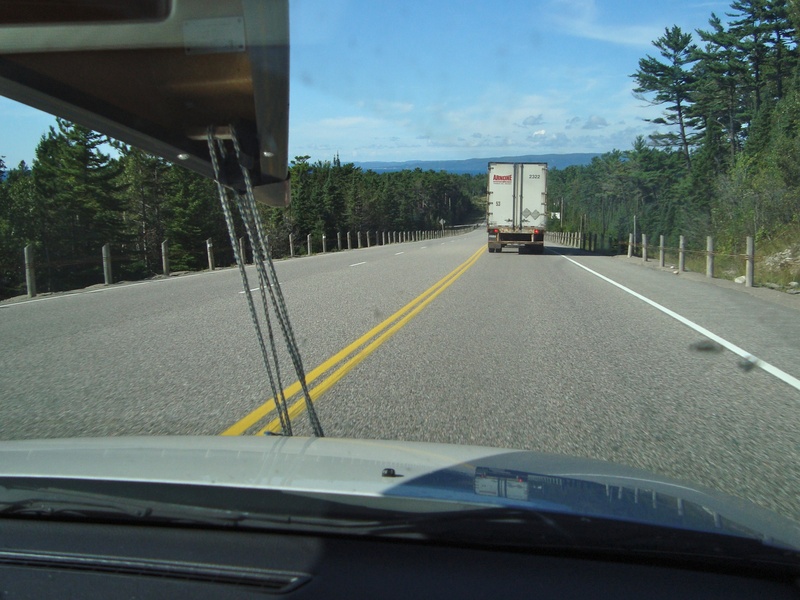 In our case, it was a 1600-kilometer ride up from London and Toronto via Highways 69 and 17. Then it was another three hours (and 250 km.) up to Armstrong Station via Highway 521. Armstrong Station itself has a grocery store, a couple of restaurants, a hotel, and a gas station. Just south of Armstrong Station are a number of outfitters ready to supply you with what you need- maps, canoes, park permits, gear, fly-ins, etc. See here for a satellite view of Armstrong Station, Ontario. Allan Water Bridge is 90 kilometers from Armstrong Station. 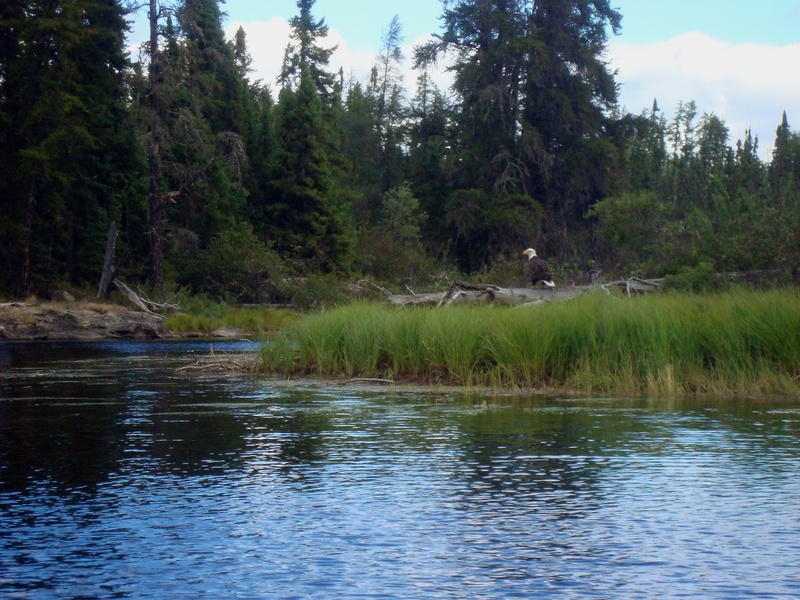 We chose it as the start of our canoe trip because it seemed that the river, which flows from the bridge down to Lake Wabakimi, was the obvious popular route to the heart of Wabakimi Provincial Park. 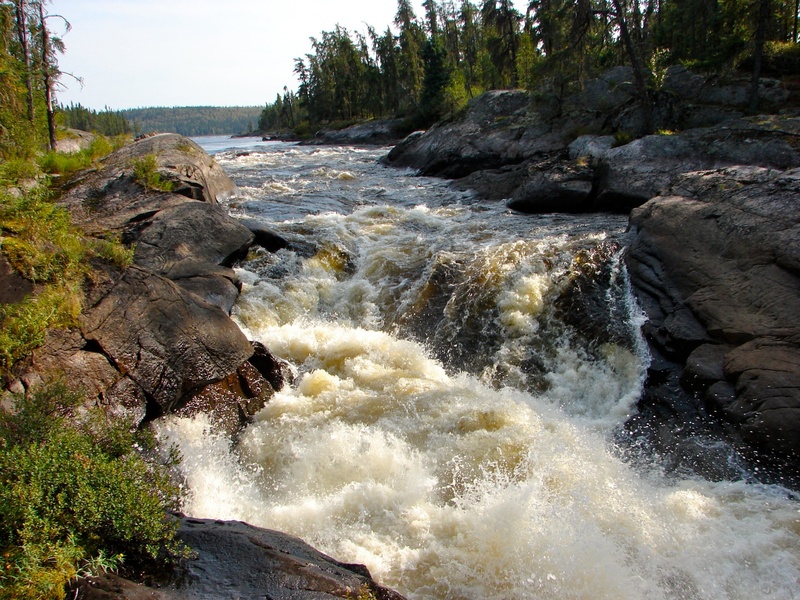 The occasional sets of Class 1/class 2 rapids would mean the chance of doing some whitewater and we figured the portage trails would be in better shape because of more frequent use. This did prove to be the case. 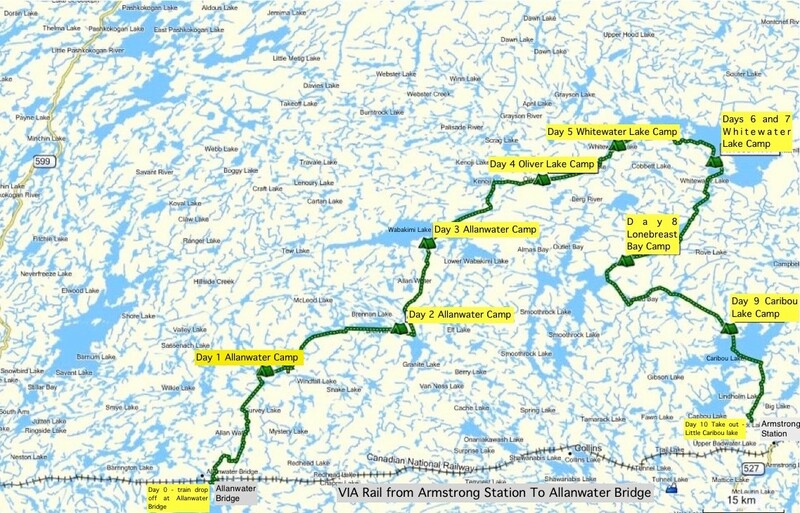 To get to Allan Water, you can choose one of two options: fly in from Mattice Lake south of Armstrong Station or take the train from Armstrong Stn. Given the $800.+ cost of the plane ride, it was easy to move on to the second option. The cost for the train ride is $21 a person with an extra charge for the canoe. The VIA train is called The Canadian and runs from Toronto to Vancouver three times a week. (Some other year we may just hop on board in Toronto and forego the thrill of the 1850 km drive!). You need to buy your ticket at least 48 hours in advance since Armstrong Station is not a scheduled stop. 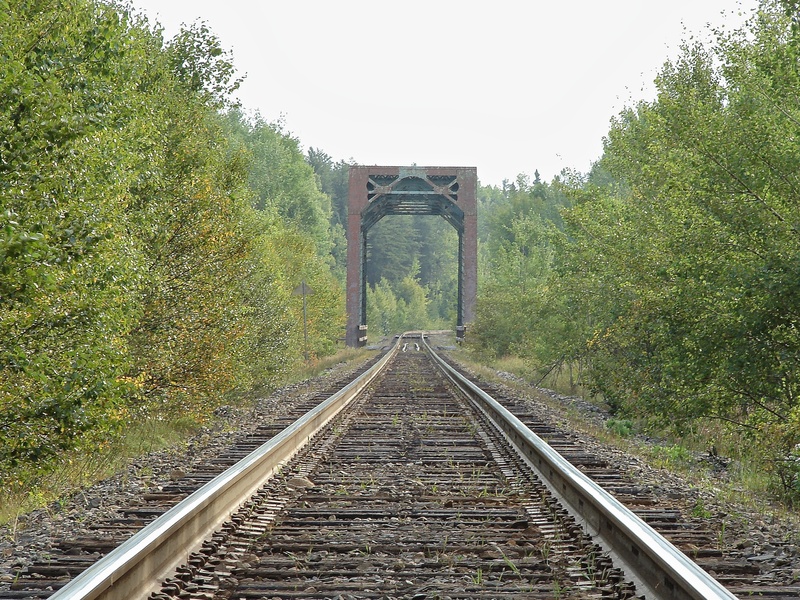 Click here for a look at the VIA Canadian timetable from Toronto to various Wabakimi points (Armstrong Station, Collins, Allen Water, Flindt Landing). Our train was scheduled to arrive on Friday night at about 8:30; it actually made it at about 11:15. The train is often quite late; it can also arrive and leave early! The trick seems to be to get there at least an hour before the stated departure time and hope for the best. waiting for the westbound VIA train at Armstrong Station- take it as a bonus if it is on time! 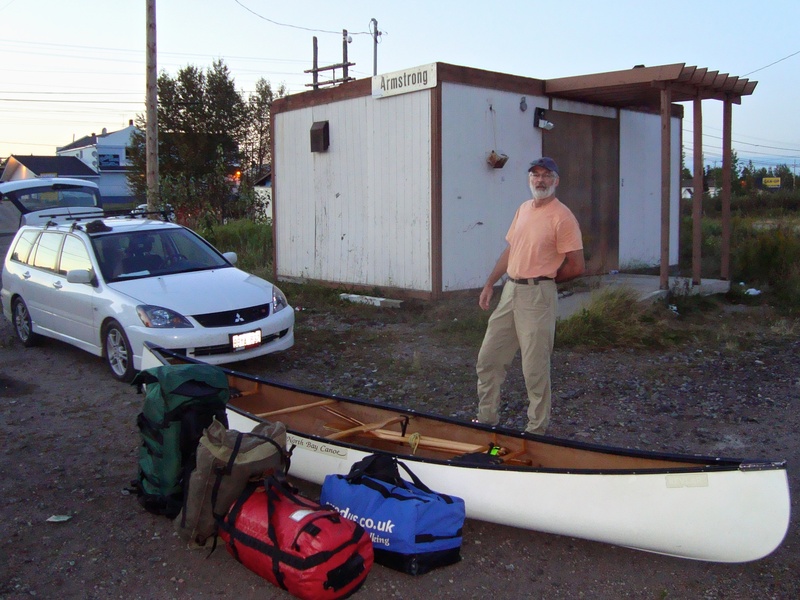 When the train pulled in, canoes and gear went into the baggage car in a hurry – everybody was pitching in to speed things up. The ride lasted about 90 minutes or so and then we were there, Allan Water Bridge. As our good luck would have it we were not the only paddlers to board the train this evening. Back in Armstrong Stn.we had met Tim and Sandy Eaton (of canoeing.com fame) and chatting with them about where we’d all been and where we were going definitely made the wait less painful. Tim asked for the train to stop just west of the bridge and we got off with them. 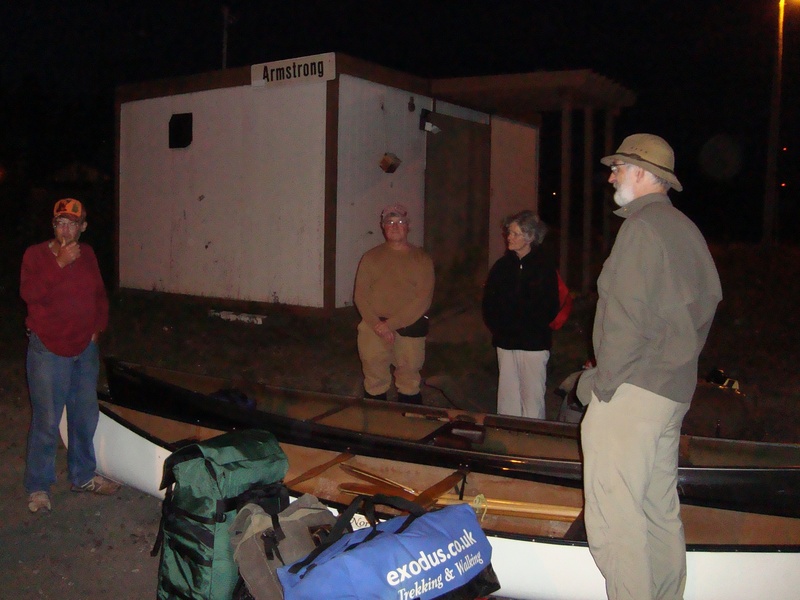 It was pitch dark and about 1:00 a.m. as we make sure all of our gear got off the baggage car. 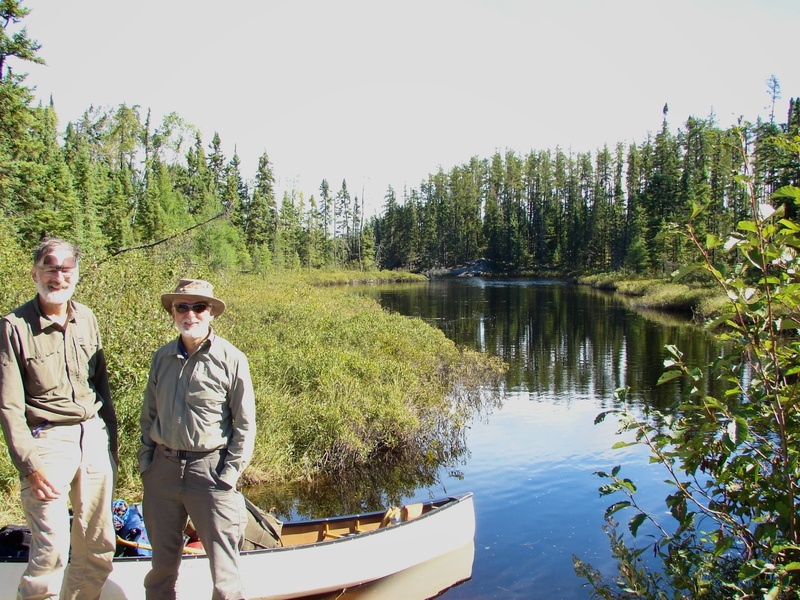 And then the train pulled away and Tim and Sandy headed for the Wabakimi Canoe Outiftters and Ecolodge cottage – named Wildwaters in this post – just to the south of the stop point. On the other side of the tracks was what looked to be an abandoned building (perhaps the old school house?). We had arranged to stay on the Jelinski property for the night (The cost was $20. a person to tent on the lodge grounds until the morning with a shower as a part of the deal. You could also rent one of the six or seven cabins on the property.) Of course, I had not asked for directions to The Allanwater Bridge Lodge so we didn’t have a clue about where things were. We really could have used the satellite image below – and some daylight! All we knew was that the Wildwaters camp was right there and it was 1:15 a.m. In the end, Tim and Sandy’s hospitality solved the problem for us and that’s where we ended up for the night. I should mention that Wildwaters does make its grounds available to campers for $15. (plus tax) a person. 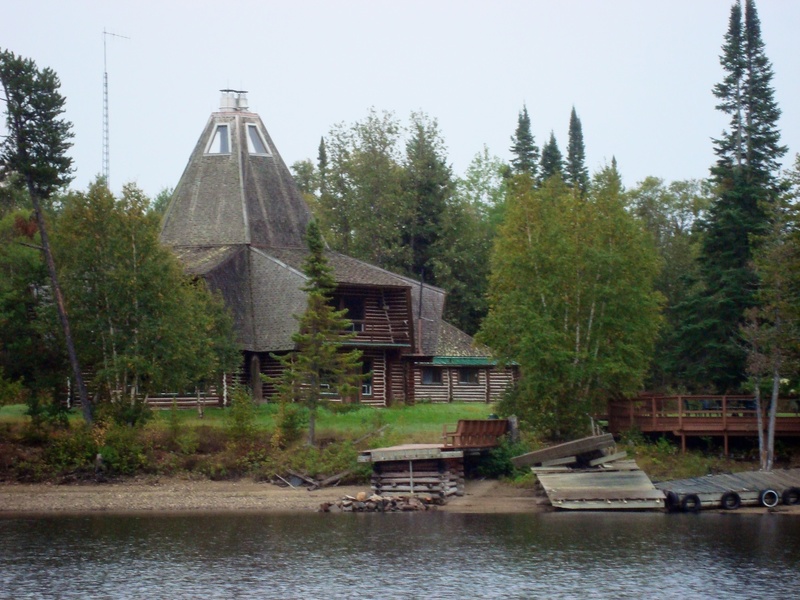 Their outpost/cottage also sleeps at least 12 and it is available for anyone looking for an easy entry into the wilds of Wabakimi. The only legal camping options at Allanwater involve paying for $20. for a tent site at one of the two lodges. The land on either side of the tracks after the bridge is railway property and thus illegal to camp on. A couple of years later we did find our way to a cabin at Allanwater Bridge Lodge. We paid $50. for what was a nine-hour stay! Also getting off at the Lodge was a party of four who put up their tents in the clearing on the other side of the track. They probably did not see the sign telling them not to do so! 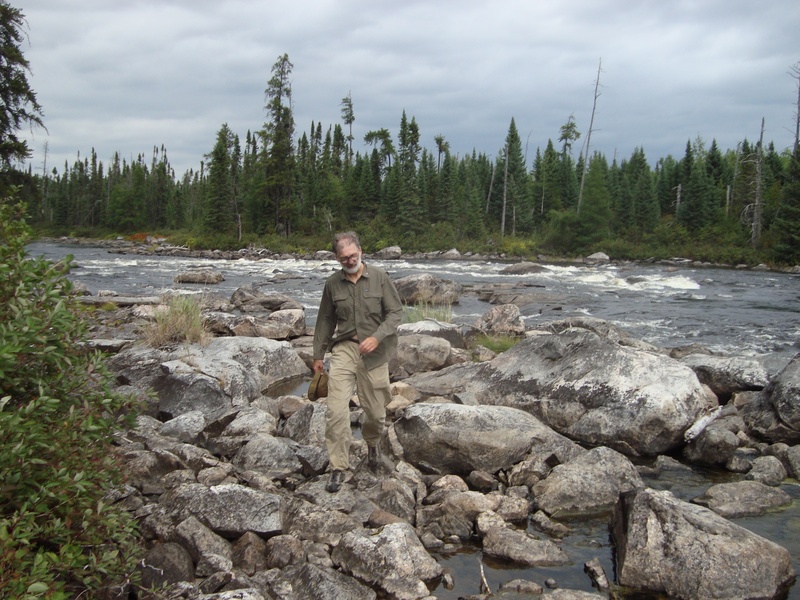 This was the last canoe trip where we brought along the actual paper 1:50000 topographical maps issued by the Government of Canada’s Natural Resources Department. Since then we learned that the maps are available for free download and we just print off the material we need. While the government topos are essential, they do not have any information on portages and campsites. For that, the next two sources will provide you with the info you need. After a classic breakfast of oatmeal and dried fruit on the back steps of the Wildwater cottage with the Eatons, we emptied our coffee cups and wished a safe journey to the only paddlers we would see until the last hour of our 10-day trip. Paddling our canoe under the Allanwater bridge, we headed for the beginning of the Allanwater River. Over the next seven hours, we ran and lined the swifts and Class 1/2 rapids and did a number of portages after scouting and deciding that caution was advisable. We camped about 28 km. 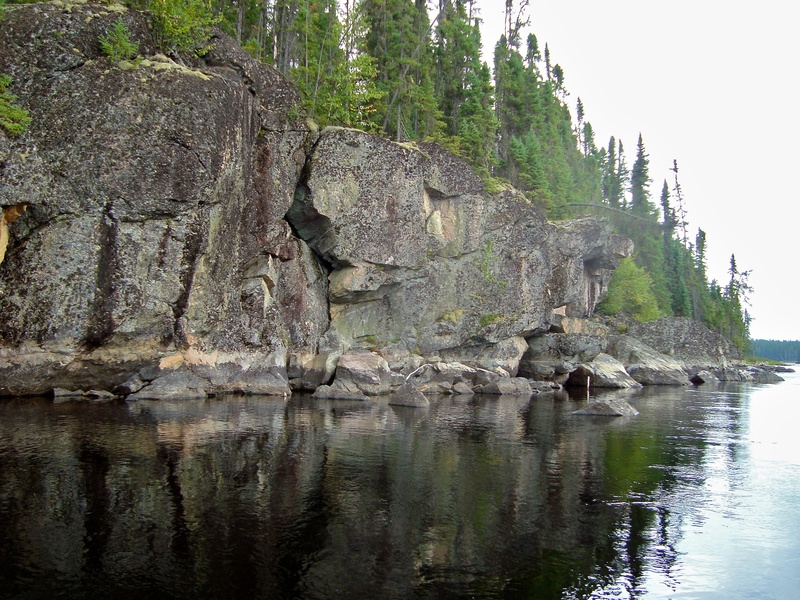 downriver on the nameless lake with pictographs (which we just could not find!). 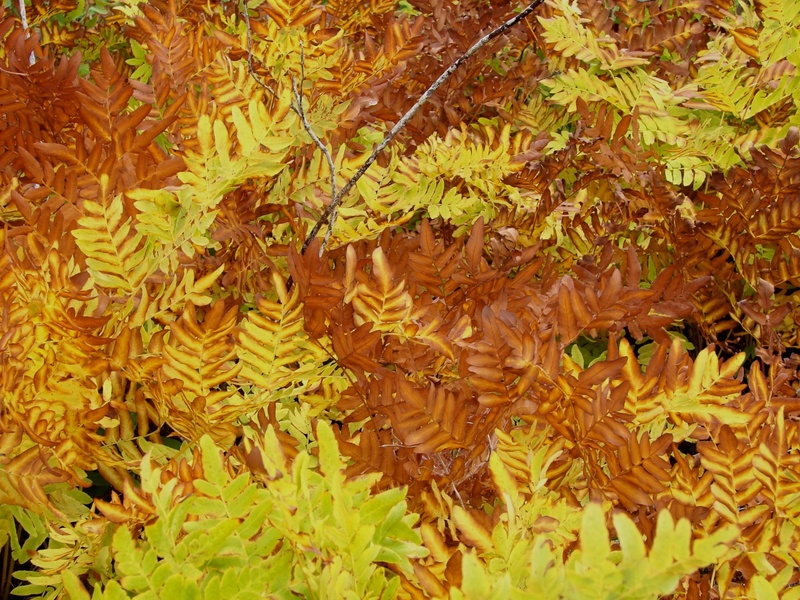 nice natural arrangement on the forest floor! Day Two was a contrast to Day One since it mostly involved lake paddle with only a set of rapids at the very start of the day and the picturesque Brennan Falls at the end. The wind was our friend on another beautiful sunny day in Wabakimi- and no bugs at all! There is something to be said for being out here at the end of August. 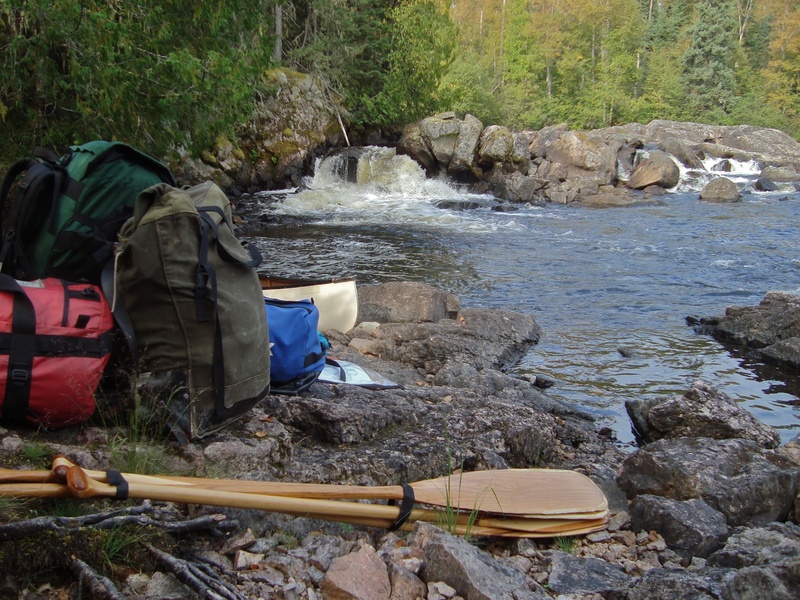 Km 3 First rapid into the trip, quick look decided to carry, first portage. Portage was nice and flat, well used and an easy walk. The same can be said for all the others that we would do that day. Km 7 [C1] This had no portage marking on the maps we were using, again no issues with channels easy to find and navigate. Km 9.5 A series of swifts and a C1 with no portage indicated, then into an open stretch of water until our next portage. Km 12.5 [C2/3] A quick look from above and we decided that with our current canoe (shallow keel) and load a nice walk was in order. 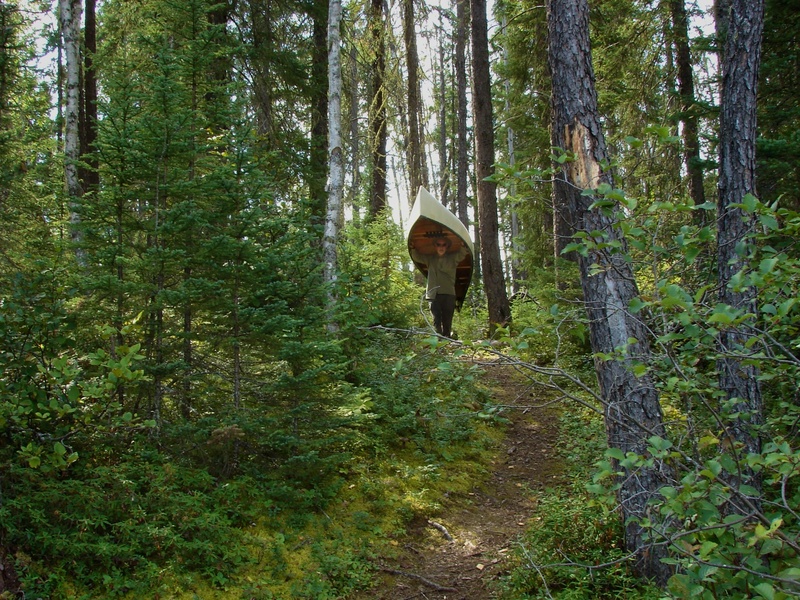 The 150-meter portage was well used and relatively flat. Km 13 [C1/2] Another top of rapid look, couldn’t really see a nice way through without more scouting, by the time we did that we could walk it a couple of times so out and carry, this was a messy one as we didn’t find a ‘real’ path. Km 15 [C2/3] Didn’t look at this one until after the portage, it had some angry spots. One of these years it would be fun to try them. Again a nice walk of about 175 m according to our trip info. Km 17-23 [C2/3] Walk and then a second set [C1/2] about a km later which we ran. Km 21 [C4/5] Definite walk. Did I mention the day was hot? Lunchtime at end of carry. Km 26 End of Termite Lake an easy 80 m portage around [C3] rapids after paddling for about an hour. Did I say it was hot? Km 29 Looked for the pictograms but couldn’t seem to find them. 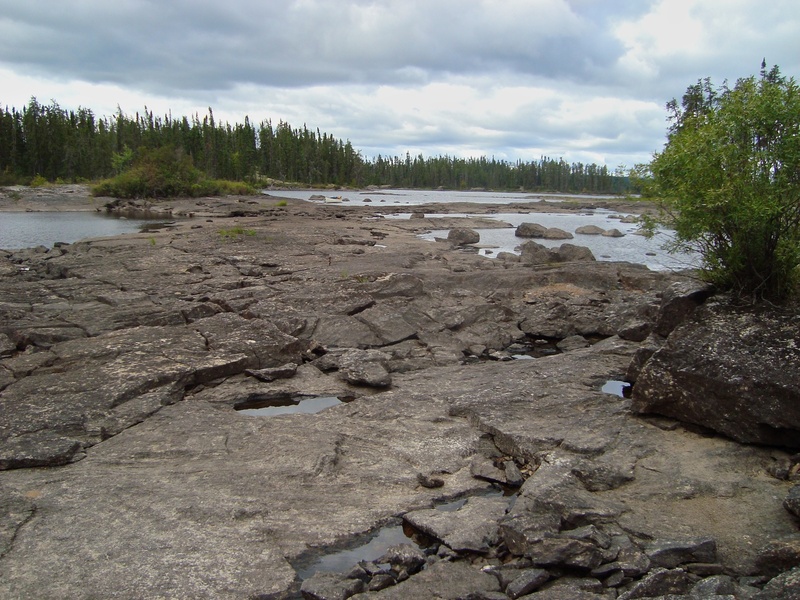 The ones on the Missinaibi and Lady Evelyn/Diamond Lake were easier to find and the geology was more dramatic than here in Wabakimi. Camping spot was the group site marked on Kokanie’s detailed map. Some very interesting lichen with a variety of dramatic colours in the area. Km 30.5 [C1/2] Start of the day and [C1/2] about 500m later. We ran both (no portage info on the map). Rest of day was long paddle across Brennan Lake to Brennan Falls. Km 45 Lunch at a small narrows. First we saw signs of civilization – outpost with people in the distance, then exchanged hellos with two guys in a fishing boat. Lunch point a potential campsite. An up earthed tree provided some needed shade. Saw 2 more boats go by while we savoured our Thai soup and peanut butter covered Wasa bread. Km 52.5 Right turn after the point and then more or less a straight line to Brennan Falls. Opted for the route which bypasses Brennan Falls completely. It passes through a little canyon which we found was easy to do with the water levels we had. There was also a beaver dam to power and step over to get to the bay with the portage ending below Brennan Falls at about 3:30 pm. Set up camp on the island and did a foray to the Falls around 6 pm. Thus ended Day 2 of the journey to the Center of the Universe. 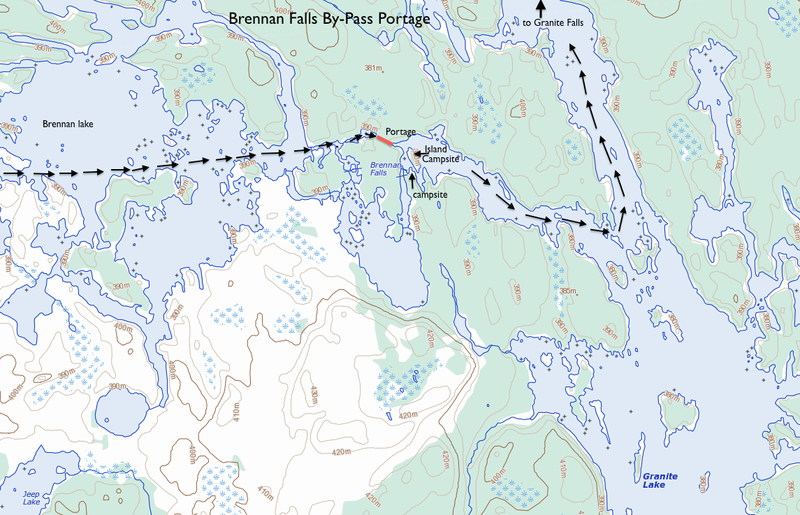 The following map shows where the by-pass portage is in relation to Brennan Falls. Km 56 Turned north into the narrow part of Granite Lake and thought how glad we didn’t have to paddle up the main open stretch of the lake. 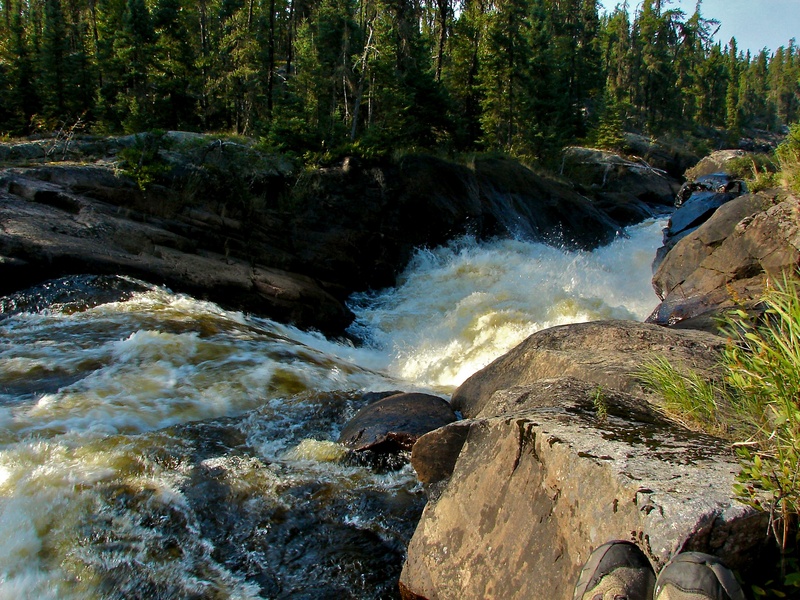 Km 61.5 Granite Falls a definite portage! Brennan or this- not sure which set of Falls I liked better. In some ways, this was more accessible perhaps not as dramatic but I think longer. Opportunities for some nice pictures. 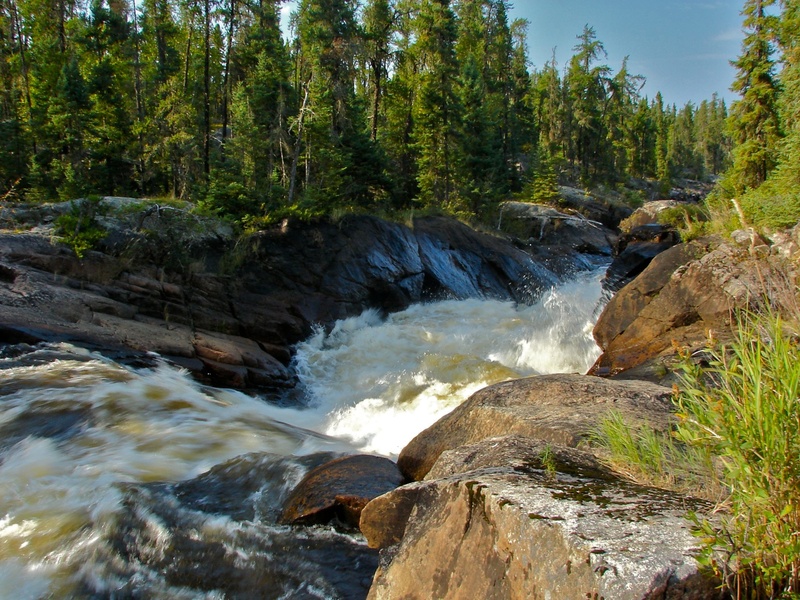 Granite Falls- one my top seven Wabakimi wonders! 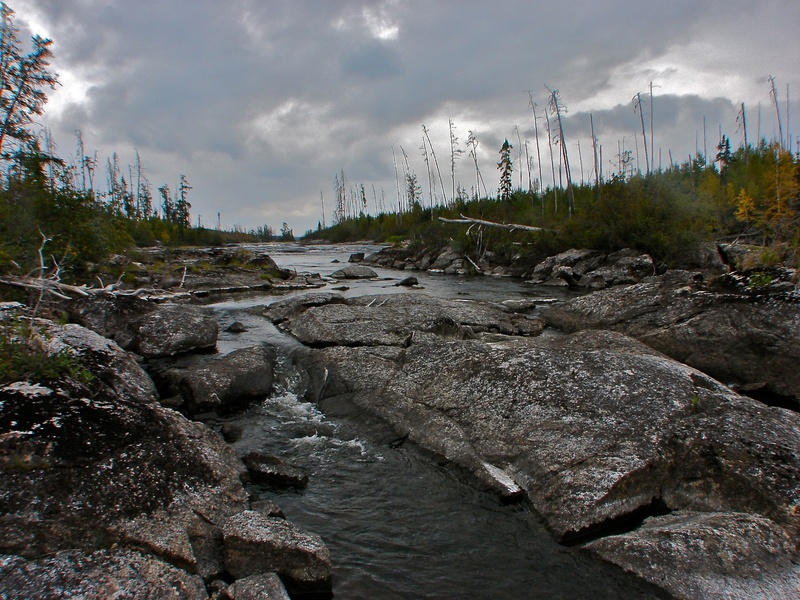 Km 66 [C2/3] Black Beaver Rapids. Ended up doing a line and some running, only finding the ‘proper’ portage after getting to the bottom. After lining we portaged along a low water stream bed which while bumpy and needing caution because of the stones it was wide enough to drive a truck through. I could see in high (very high?) water this turning into another ‘stream’ creating an island. 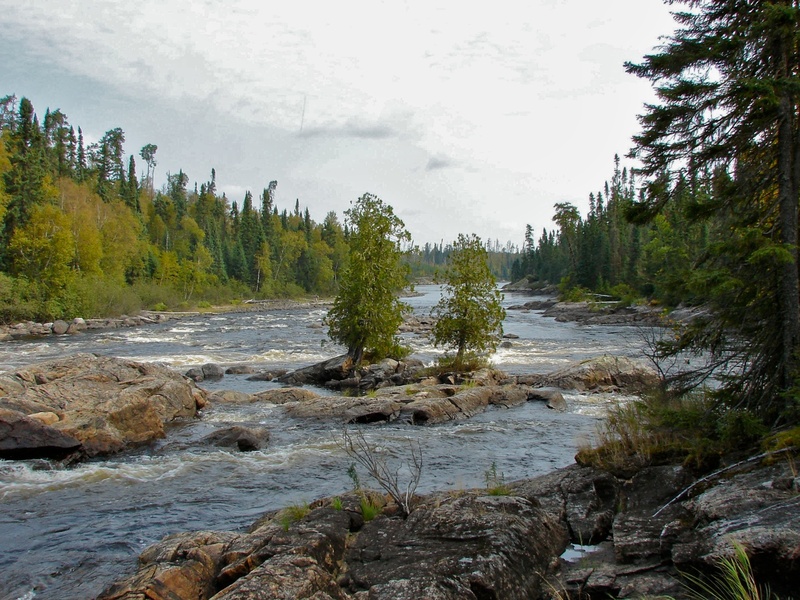 Km 71 [C3/4] Sturgeon Rapids – a definite portage! 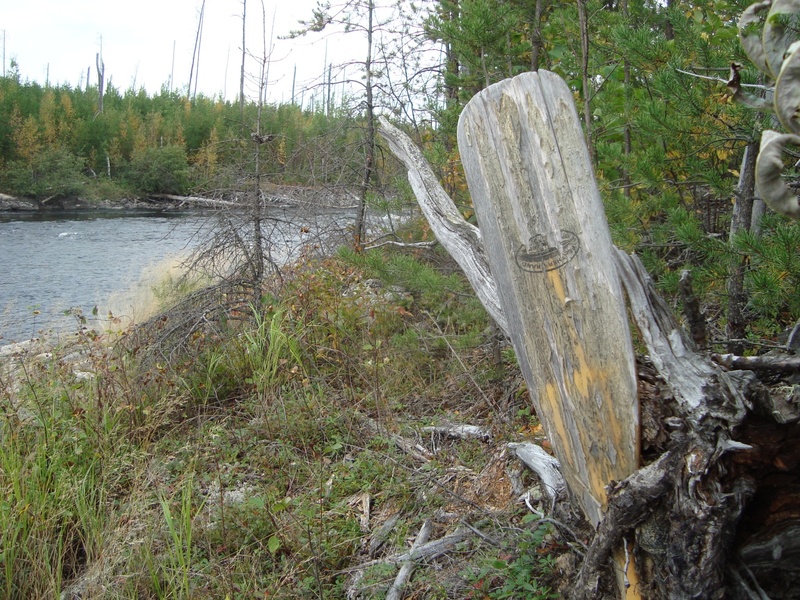 A portage marker is always nice to see! 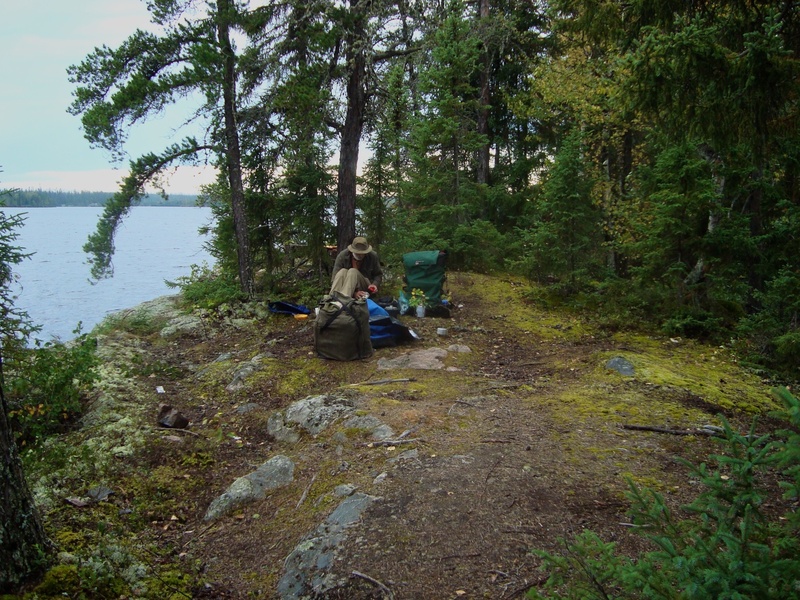 Km 74 Campsite #3 on an island in the Allanwater River Bay inlet to Wabakimi Lake. Km 85.5 First set of rapids out of River Bay leading into Kenoji Lake. First a set of swifts then an 845 m portage on the left. I can’t recall if we portaged this one or the next 2 (292m & 343m – also on the left) for that matter. We may have paddled right down. Km 89 Did not portage the last bit into Kenoji Lake proper – on the maps it was indicated as a series of swifts but didn’t see anything swift about it. Could be a seasonal thing- early September as opposed to mid-June. Km 92-95 A series of 8 rapids which we ran and lined. We had difficulty in finding the portage markers. 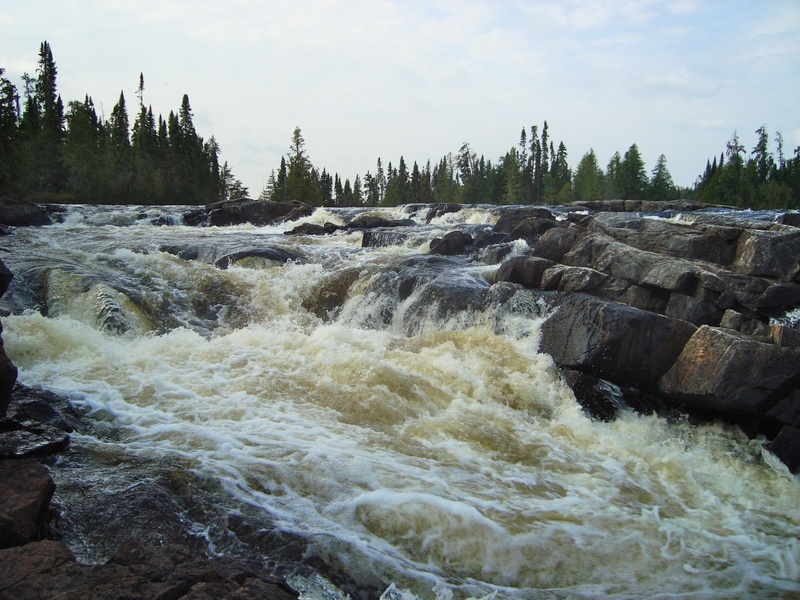 I think partly because where the water was opposite to where the portage was and getting back would have been difficult. 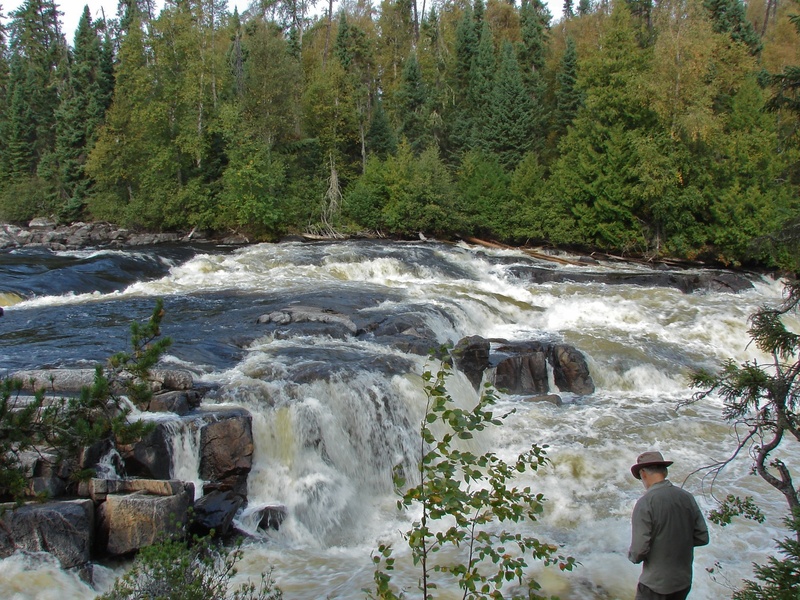 This was a tune-up for looking for the portage trails around the rapids into Whitewater. Km 97 Campsite for night 4. The weather started to change. Now doing some paddling into the wind. After an hour and a half paddle from the Oliver lake campsite, we came to the end of the lake and the split into a northern and southern channel. The latter meets up with the Berg River; we paddled down the northern channel. 7 meters or .7 meters – still wonderful to contemplate! 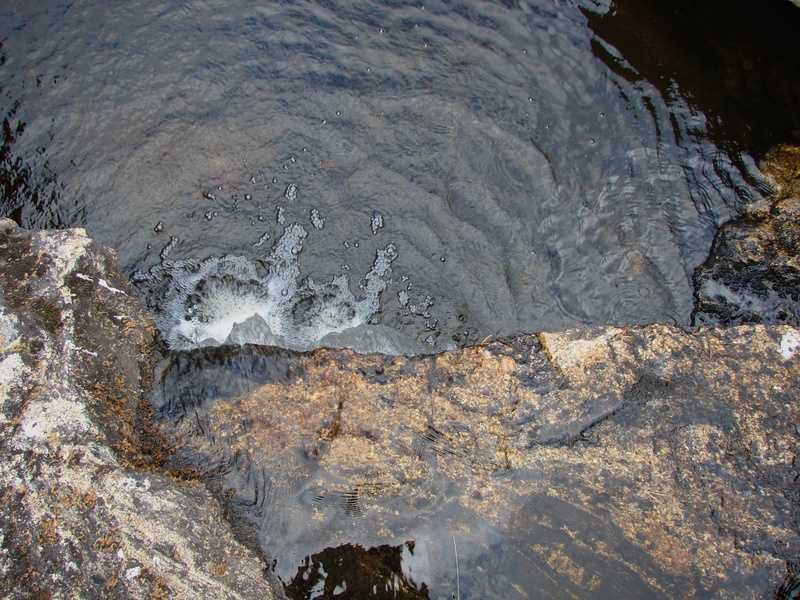 aerial view of the bottom of the falls! We hauled the canoe over the beaver lodge, trying not to scratch the bottom too much. After a couple of portages, some very scenic shoreline and that classic combination of running, lining, bumping and grinding we were at the western end of Whitewater Lake. We looked around in awe at the neighbourhood the legendary hermit of the lake had chosen as his own. There were, however, reminders that it is not that easy to get away from it all – even on Whitewater. We camped on the southern shore just around the corner from a collection of 3 or 4 cottages/camps. The next day we would pass by another impressive collection of buildings – the abandoned and slowly falling apart Ogoki Lodge) – as we paddled to Secret Lake. the eye-catching center-piece of the Ogoki Lodge complex – but nobody home! That evening’s campsite, we would later find out, was just around the corner from the Whitewater Lake First Nation settlement (just on the shore just NW of McKinley Bay). By then we also found out that we would not be escaping bad weather completely either. It started raining around 10 a.m. on Day 6 and didn’t really stop until 36 hours later. If Wabakimi is affected by hurricane weather patterns coming up the eastern seaboard, it may have been Hurricane Ernie side-swiping us as it roared its way up north. Rain and wind marked our night in the tent on the island. When we looked out early in the morning we could see white caps on the waves going past our campsite; the wind was still quite strong. We knew that we’d be spending our first “bad weather day” ever looking over at Best Island. The Center of the Universe would have to wait one day. 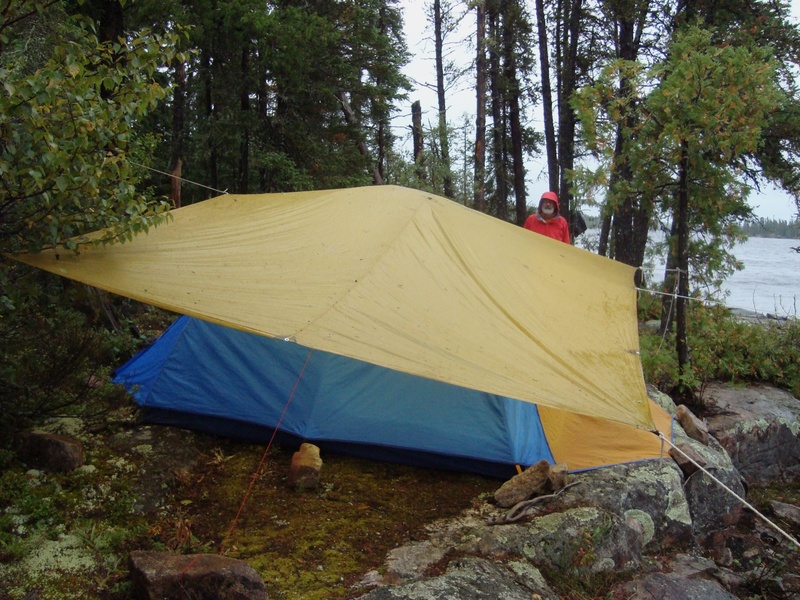 Luckily we were inside our downright decadent MEC four-person Wanderer with double vestibules; we had also arranged our 10’ by 13’ tarp over the tent so it took the brunt of the rain. 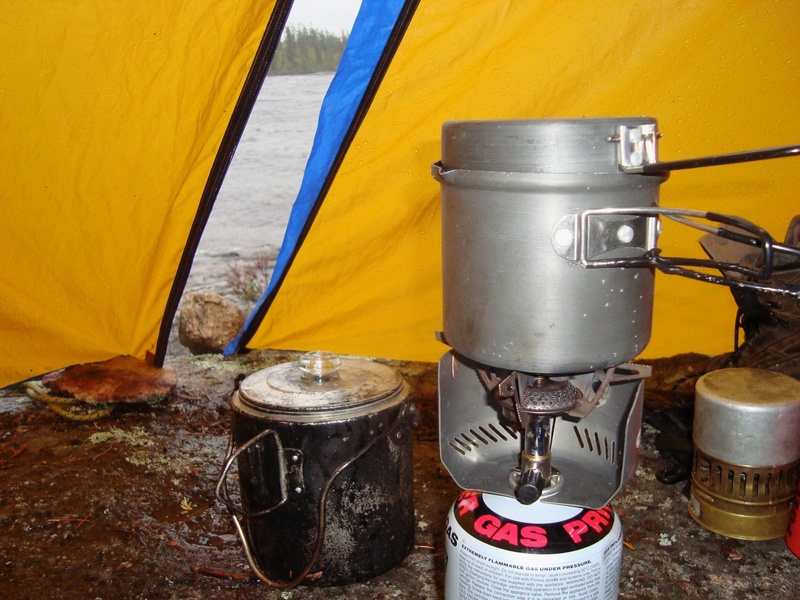 We got the Primus butane cookstove going inside the vestibule for breakfast and later repeated the process for supper. Between napping, working on Sudoku puzzles, looking over the maps to figure out exactly where the Beckwith cabins were on the island, napping some more, unrolling the 1:50000 topos to get a sense of the rest of the trip, and eating one too many Clifbar, the day passed easily and we rested up in comfort. We were psyched, however, to paddle over to the island to pay our respects to the spirit of Beckwith and sign our names in the pilgrims’ book. KM 97 Start of Day 5 saw the beginnings of a change in weather. It was now cloudier but not overcast and not as warm. Even with the change in the weather we were still not being bugged. Km106 As we paddled along the water began to get a bit shallower. 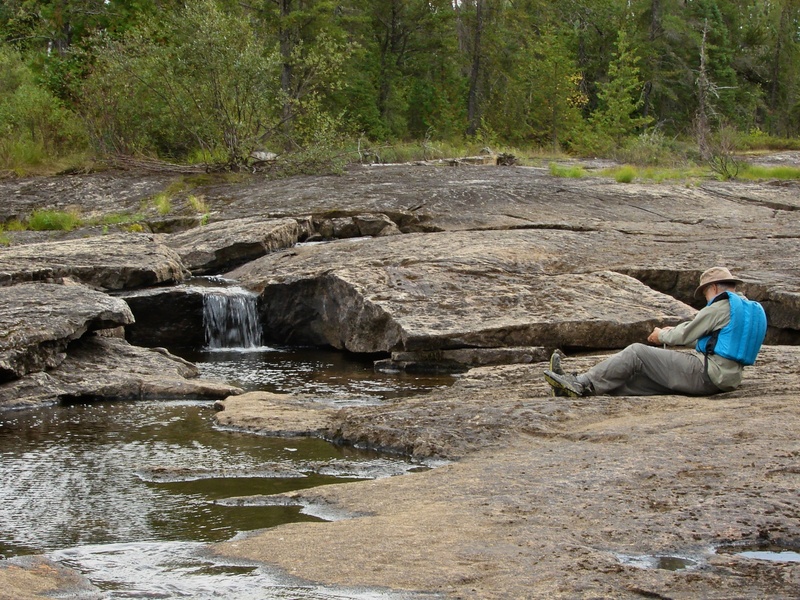 We did come across a very nice ledge with back yard waterfall section of the river. 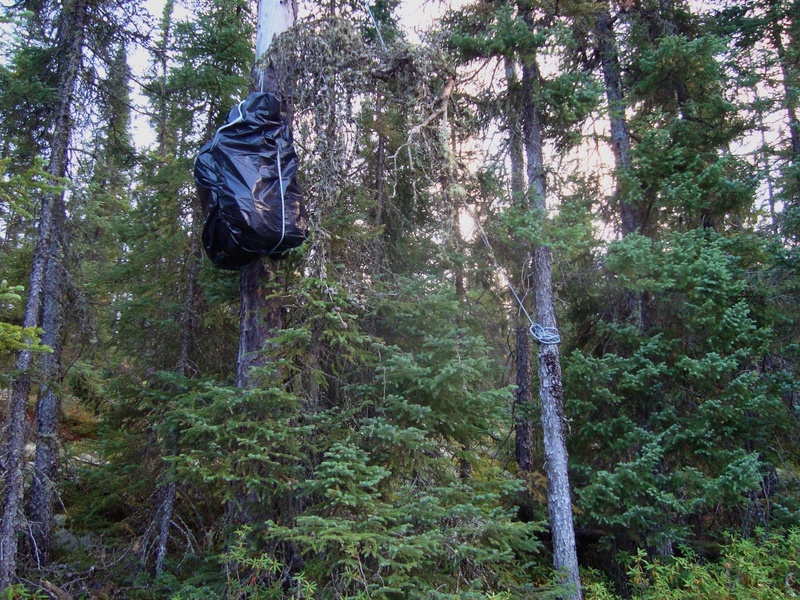 This required a 50 m portage and we did spend some time looking for the portage trail with no luck. After that, it became yet shallower. It seems that this part of the Ogoki needs a lot of water to be able to paddle down. We were then faced with a boulder garden portage down the dry river bed. None of the map info we had indicated this so we were scratching our heads and wondering where the heck we were. 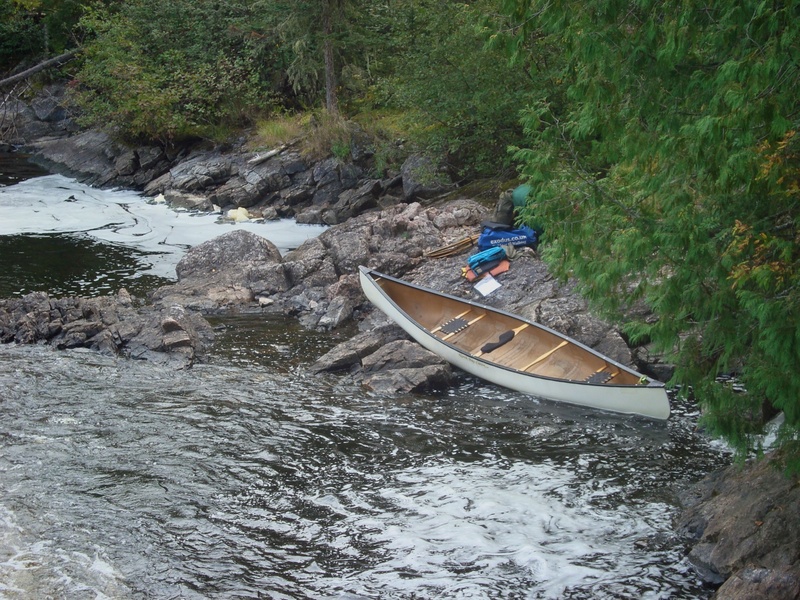 The portage ended up being about 600m until we found a put-in spot that we could paddle away from. Km107 Nice little beach just before getting into the bay and then the narrows to the main Ogoki flow near the mouth of the Berg river. Km109 Start of the rapids heading into Whitewater Lake. The portages are all listed as being on the right side. As we headed down we went for water flow and so ended up on the left side at which point we opted for the line/run combination. There were some interesting rapids but we were pretty cautious. The day turned fairly sunny at this point which helped because we both got a bit wet as we lined. Finally into Whitewater Lake and then a short paddle to our tent spot. Km 111 This campsite was on a point just past the lodge that is located on the south side of the bay. We decided to call it a day a couple of hours earlier than normal. Km 119 The next morning was the beginning of our trip to the Center. At this point the weather was overcast and by the time we got to southern interior passage via Secret Lake to the lower part of Whitewater it started to rain. Out came the rain gear and the tarp to cover the packs. Thankfully the wind wasn’t as breezy since we were more sheltered. Km 122 We marvelled at the lodge with the high tower and skylights See the photos for a shot of this. Km 132 A bit of grinding and scraping our way through low water and we came back out onto Whitewater lake. Now there was a strong wind and our only thought was getting off the water. We camped on the small nameless island just across from Best island. 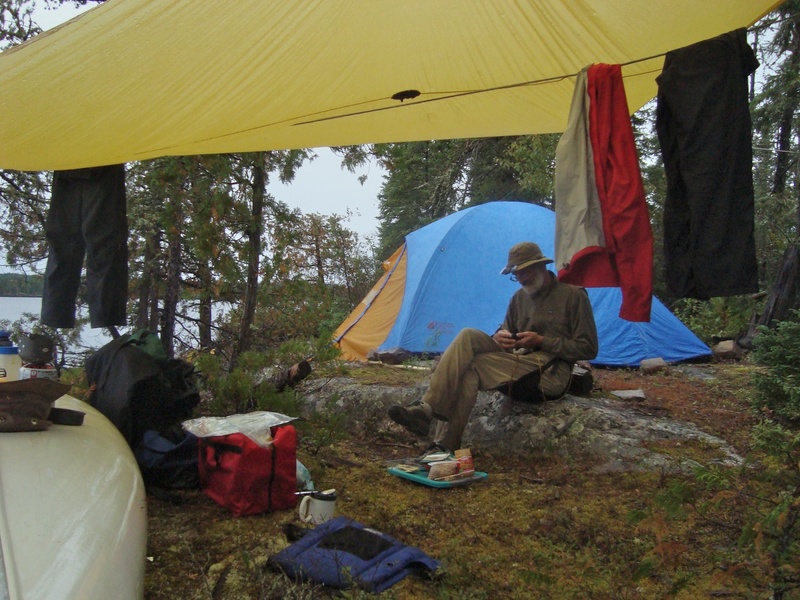 The plan was to canoe over to see the Beckwith site the next morning and then set up camp on the island. Such, at least, was the plan! The drops on the tent when we woke up at 6:30 were deceptive; they were just drops falling from the trees. The rain had stopped but the wind had not. It was blowing slightly away from McKinley Bay, our destination after making our visit at Best Island. Skipping breakfast (the idea was to have it a bit later and get calmer water by doing some paddling first), we headed for Best Island. It was a struggle; we wanted to go east and the wind was taking us south. We did manage to get across the open water and cruise down the side of the island. But where were the cabins? As the end of the island approached we knew we had somehow missed them. Unbelievable! The wind kept blowing us over to McKinley Bay and we had to decide – turn into the wind back up the island and get our names in that book or let the wind blow us to what we knew would be a calmer bay – and hopefully a calmer day. 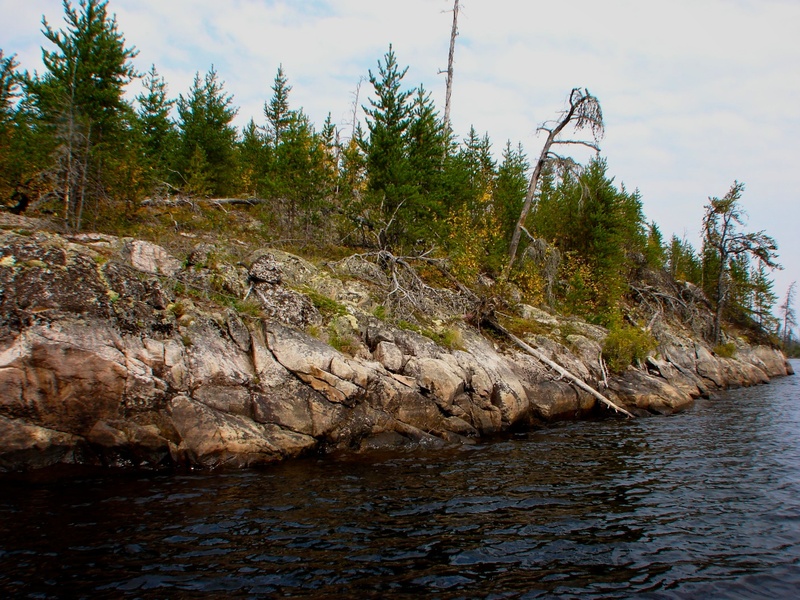 We spent the rest of the day working our way down to Lonebreast Bay and the middle of three campsites indicated in the Wabakimi Project’s Volume 1 set. The sun was out but the wind hadn’t completely stopped. The day’s distance was about 27 km. The campsite was definitely sheltered and we put a few things out on the rocks to dry out after we put up the tent at 4:00 p.m. The home stretch! Rounding the corner of Lonebreast Bay and heading up Caribou Bay, we had Kokanie’s annotated maps out again. We were going up river now and the portage trails were pretty easy to spot and negotiate, a result of the Caribou R. being a major Wabakimi entry/exit route. 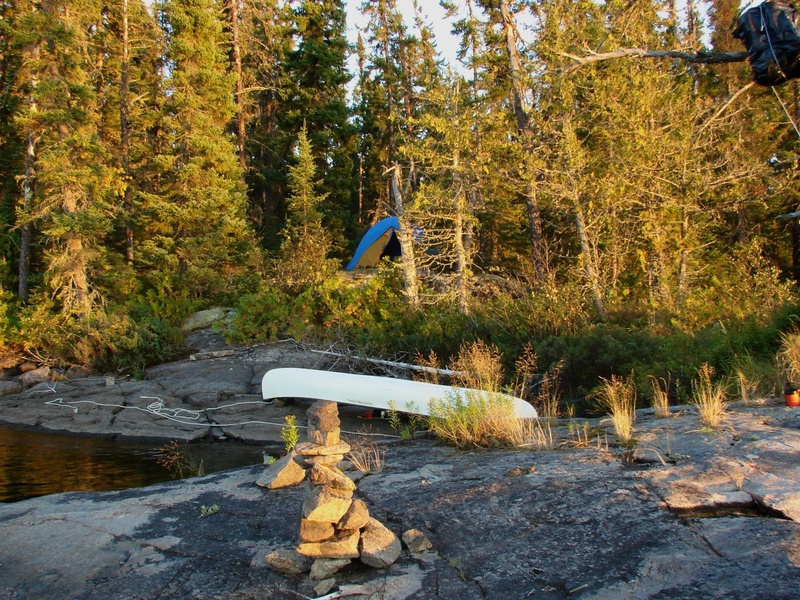 Day 9 saw us paddle 30 km until we found a great rocky point to pitch our tent for the night. The tent was up by 4:30 and we were done for the day. A relatively wind-free crossing of Caribou Lake over to the portage into Little Caribou Lake was our hope for the last day – and, well- it was clearly just meant to be! We may have blown past the Center of the Universe but we were being pushed back to the circumference. 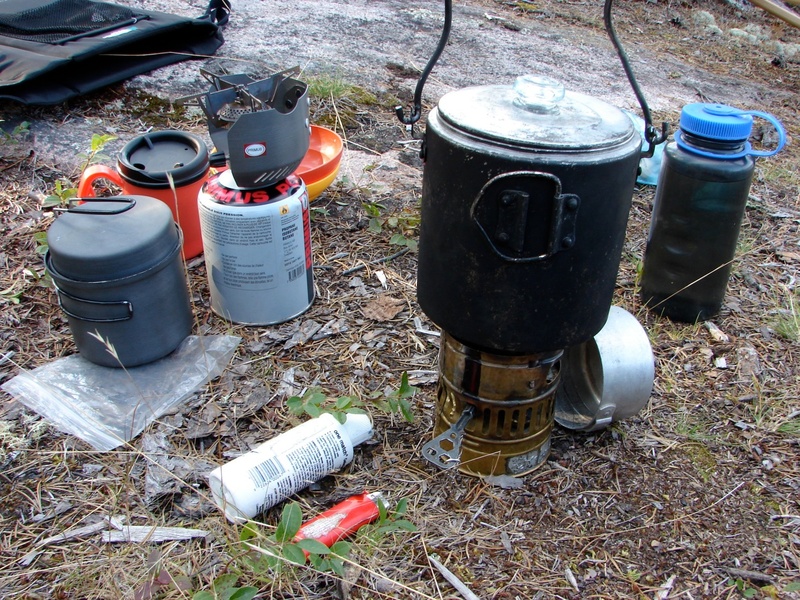 By 9:00 we were at the Caribou Lake portage and had breakfast at the other end. We prepared the last two packages of oatmeal and savoured the last of our coffee and were then treated to a fine morning’s paddle south to the take-out point by the bridge at the end of the lake. The sun was out, the wind was light, and the dimensions of the lake were just right. No white caps now – just watching the sun-dappled shoreline slip by. We passed a lone paddler from Minnesota on his way in and wished him good luck with the wind on Caribou Bay. As we got within the last three kilometers, the big question was – Is the car going to be there when we get to the take-out point? 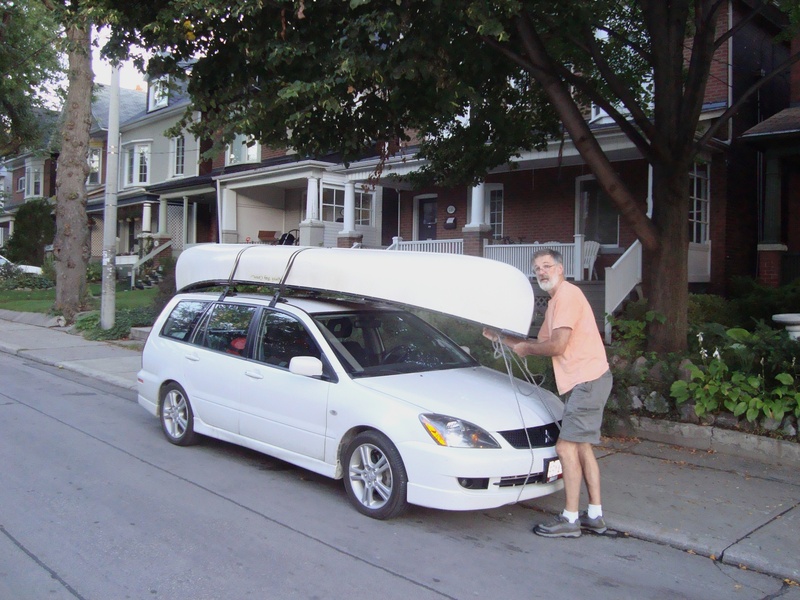 Thirty minutes later and there we were – paddling towards a white Mitsubishi with roof racks on top. It was half past noon and we were done. Km 189 A long day of, you guessed it, paddling – with a few portages to get us up the Caribou River to Caribou Lake. Just a long slog. 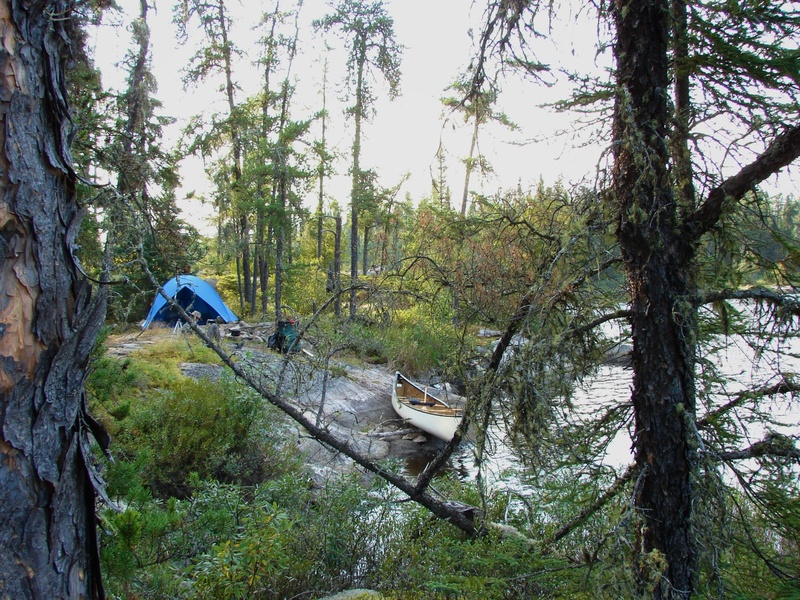 We camped on the point just before Caribou Lake (and saw our first people in days, a boat heading back into Caribou Lake. We started day 10 early in the morning to take advantage of the beginning of day calm and were greeted with a very nice white dawning sky. We hoped to avoid winds which were now coming from the NW. 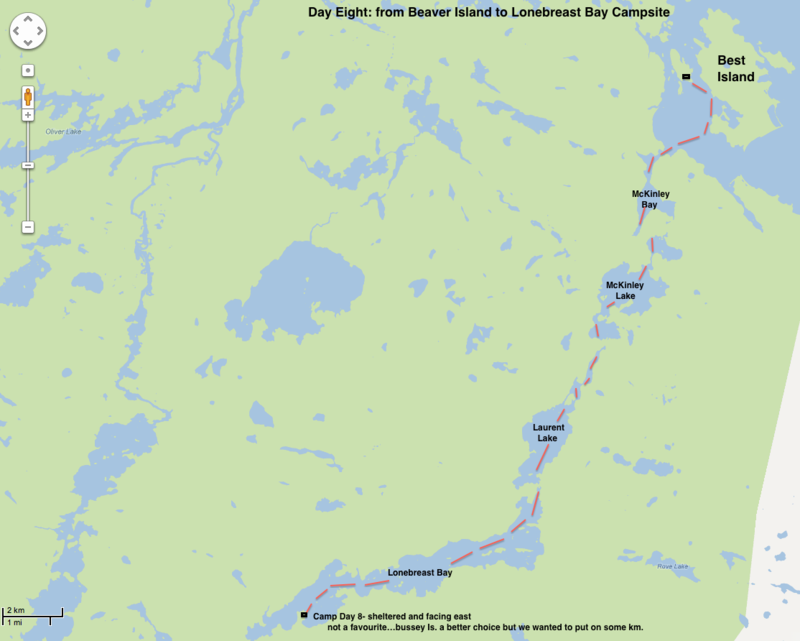 Since we had some big stretches of open water ahead of us and basically the expanse of Caribou Lake for the wind to blow down, paddling as far as we could as quickly as we could was the plan. We decided to round Beaver Island on the west side using the smaller island to break some of the wind. Swells were up to about 1.5 feet with the occasional white caps. Once past the southern tip, we were going partly with the wind instead and help ease the tension we felt crossing the open stretches. Km 197 From there it was about an hour paddle followed by the portage into Little Caribou Lake and its relatively calm waters. Km 209 The trip down Little Caribou was quite enjoyable. We met our first canoeist since we left Tom and Sandy at the beginning of the trip at the Wildwaters camp at Allan Water Bridge. 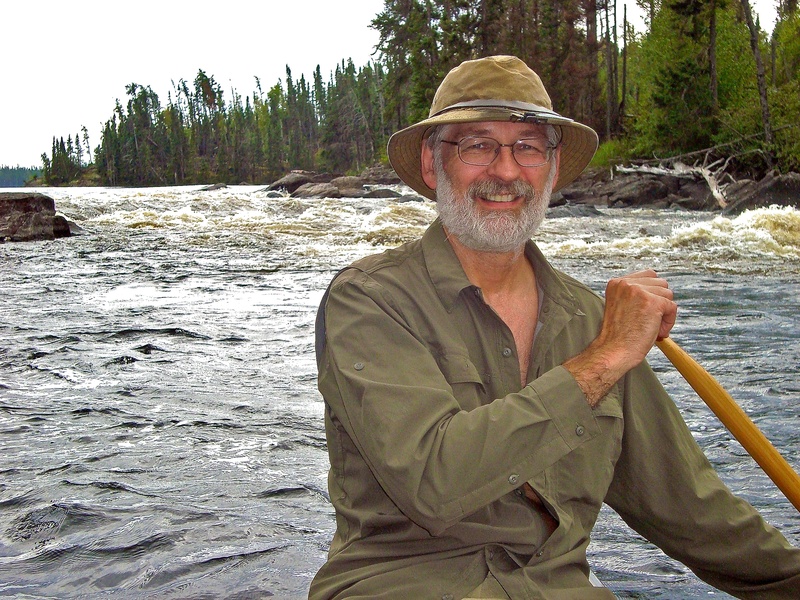 He too was from the St. Paul area and was starting a week’s worth of paddling. We chatted for a few minutes, let him know about the winds on Caribou and wished each other calm waters. The maps we had indicated some portages but we never found them, mainly because we didn’t have to get out of the canoe. The one beaver dam was easily powered over and then it was on to the take-out point which we reached at about 12:30.
not a great shot but you get the picture! Little Caribou Lake ends here; we are looking at the bridge on our left and there is a small area to park cars to our right. By 1 pm we were loaded up, stopping into E & J’s for a quick lunch, some phone calls, driving to Wawa by 8:30 pm. The next morning we were up early and in Toronto by 4 pm for the afternoon rush hour. A quick stop to unload some gear and the bow paddler (me) and then it was on to London for my brother, who got home by 9 pm. We’d do the same trip again but next time with the train from Toronto to Allanwater and perhaps coming out at Collins for the train ride back. 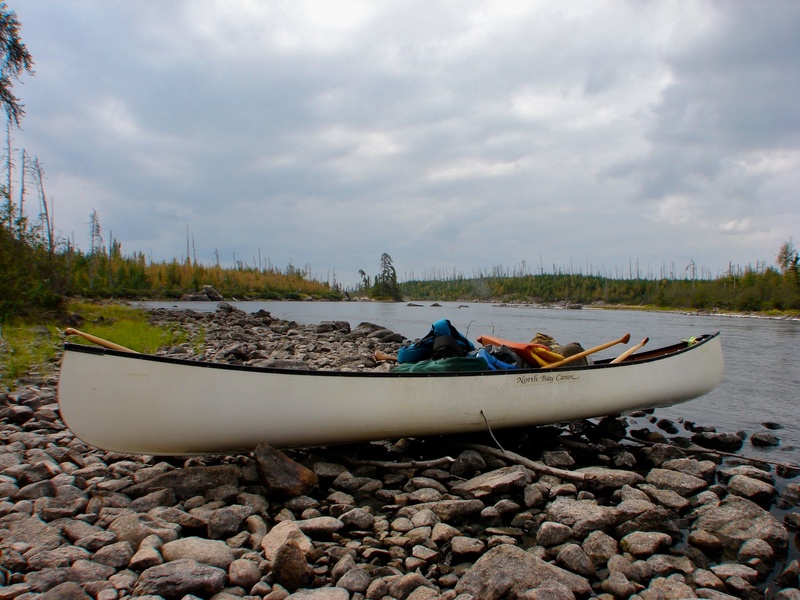 Our introduction to Wabakimi had given us some fantastic paddling and incredible views. 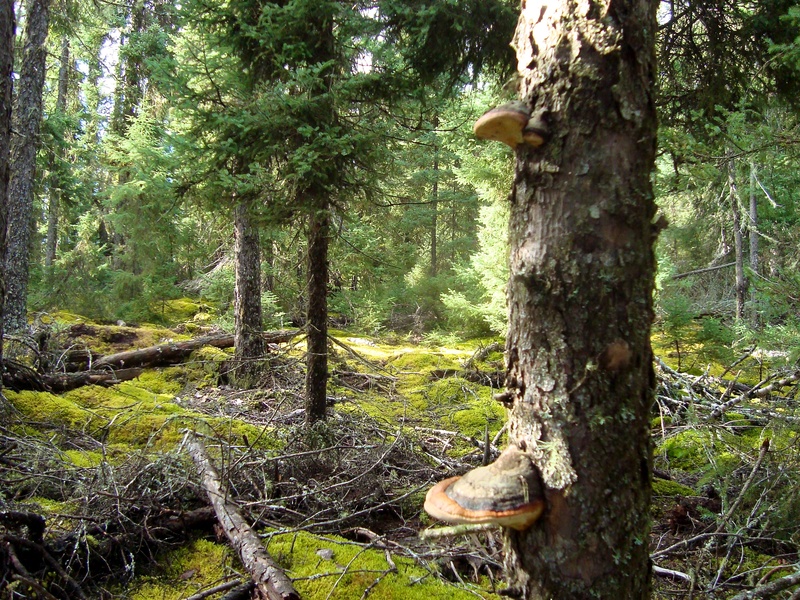 and the chance to enjoy a relatively unspoiled part of our back country. To be free enough (in terms of both time and money) and fit enough to go canoe tripping is indeed good fortune – and if we didn’t see the Beckwith cabin we certainly returned with some great memories and some evocative photos that will help us remember this trip for a long time – at least as long as it takes for us to scan the Wabakimi maps looking for the route of another Wabakimi trip! 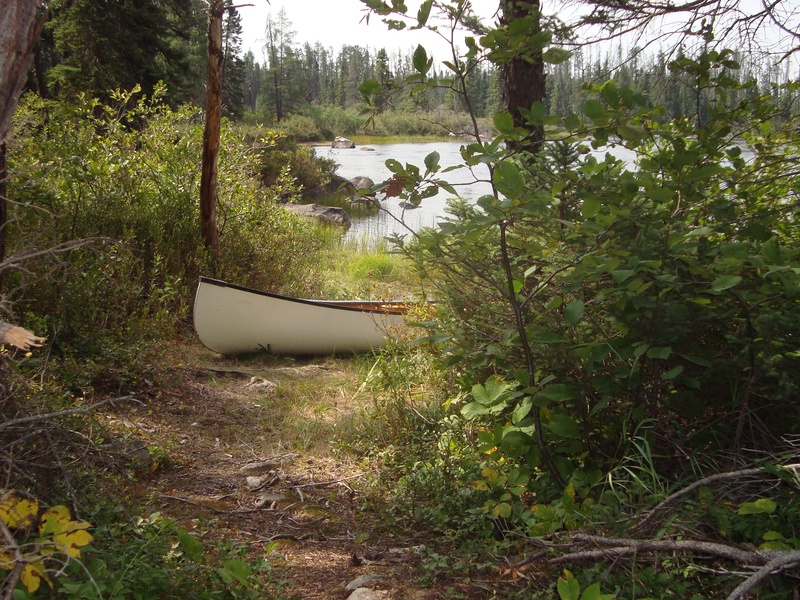 One last comment – Late August and early September may have been the Wabakimi canoe tripping sweet spot for 2010, relatively nice weather for most of the trip, reasonable water flows, and a trip almost completely devoid of any insect activity. Nice! 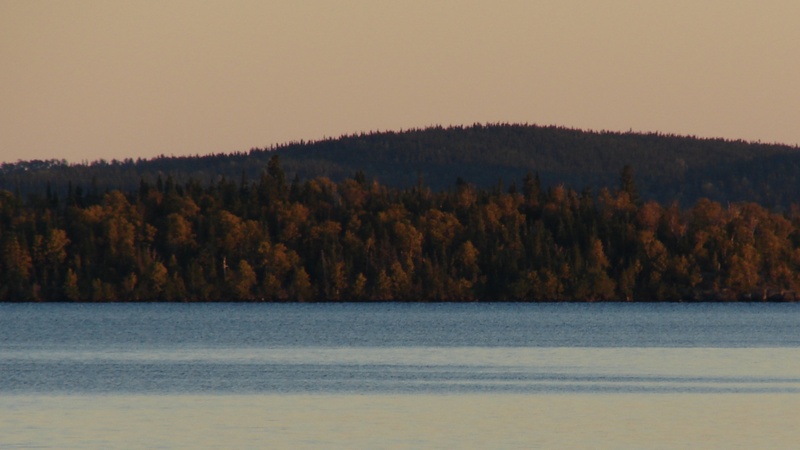 The next summer we did indeed return to Wabakimi for another two weeks in this premier canoeing destination. 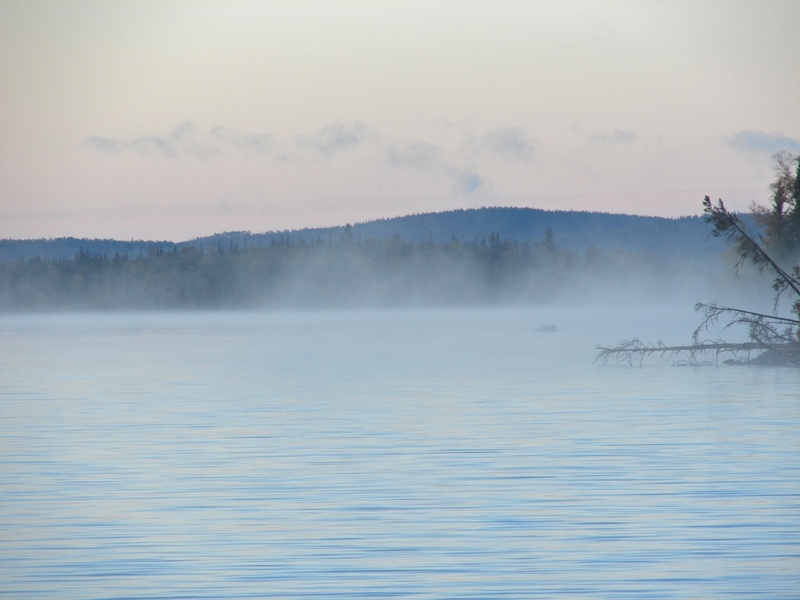 Check out Smoke Over Wabakimi for the story and some pix. 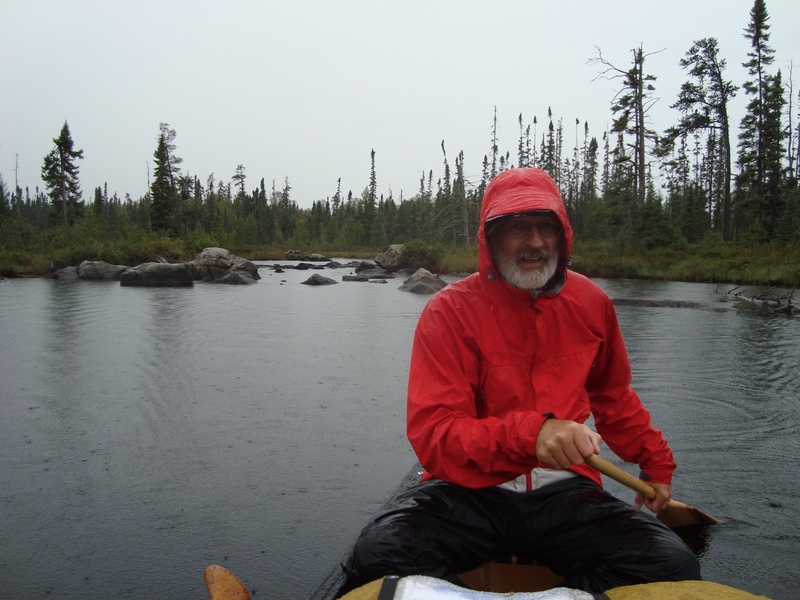 Another Youtube set of four brief videos under the name Dan’s Paddling – about 15 minutes in all – cover a canoe trip down the Allen Water to Wabakimi Lake and then over to Whitewater Lake via Kenoji and Scrag Lakes and down the Grayson River. The fourth video provides some nice video of the Beckwith Cabins on Best Island. You can find it here. Mattice Lake Outfitters cover the same ground as Wildwaters above. 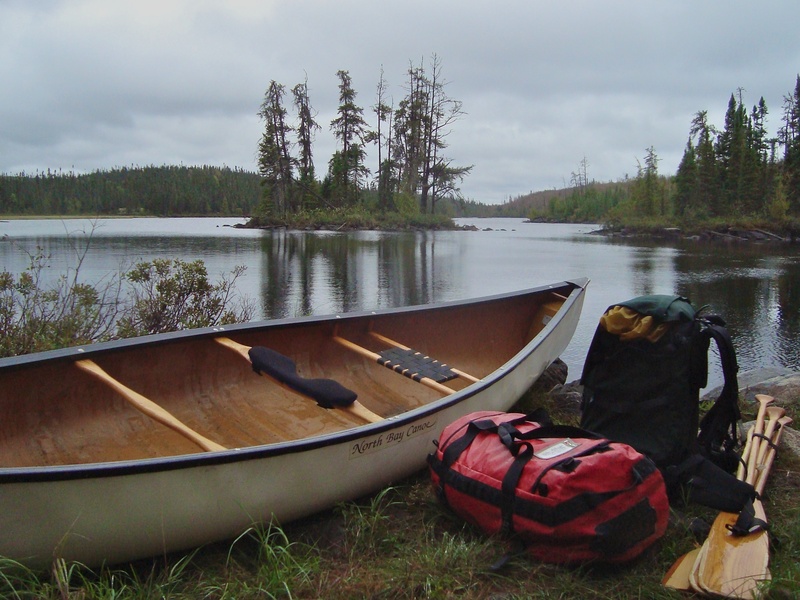 Their website http://www.walleye.ca/canoeing/ will give you what you need to get started. 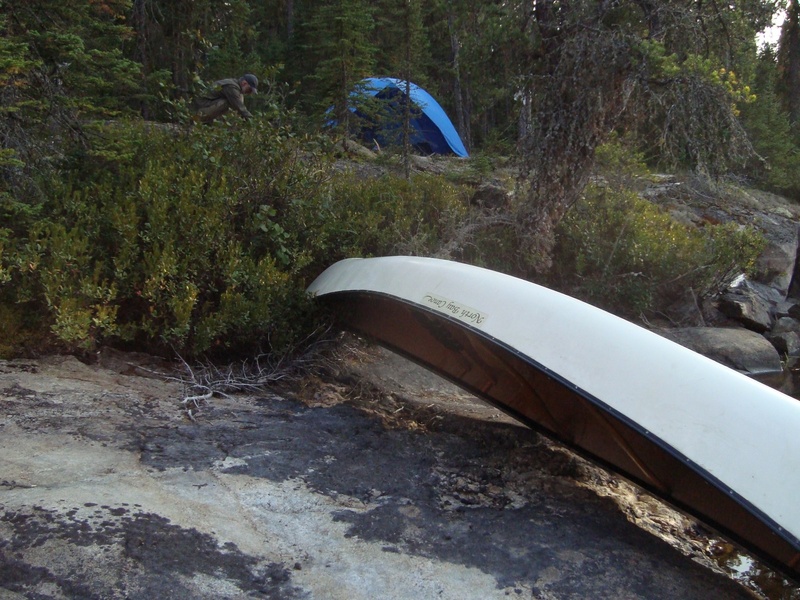 This canoe trip was the last time we bothered taking actual 1:50000 topos along. The map service on Bay Street in Toronto where I bought the maps went out of business the next year. The reason is probably because nobody – including us – buys 1:50,000 topo maps at $20. a sheet anymore. They are, however, readily accessible online to be downloaded and printed for free! Visit this Government of Canada website and you’ll find the complete set of topos in tif format. You need the following for this trip – Just click on the map title to download. Copy what you need and maybe laminate the results and you have a totally acceptable set of maps for your trip. Since 2010 we have also made more use of our Garmin GPS units and the Topo Canada v.4 maps with pre-entered waypoints. We’ve also made big use of the next two map sources. 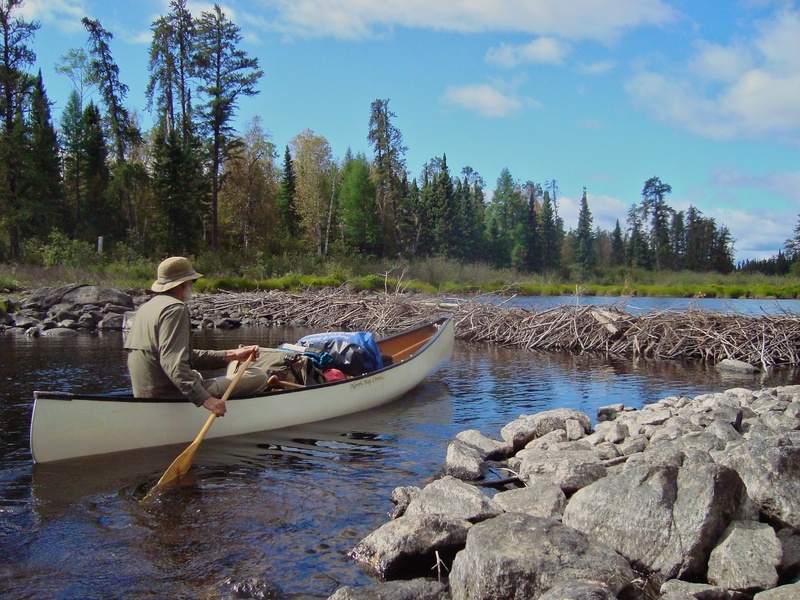 The Friends of Wabakimi (The Wabakimi Project) website is your gateway to Wabakimi paddling possibilities. It has some excellent introductory info in the “Wabakimi and Beyond” section that you will want to read before you go. 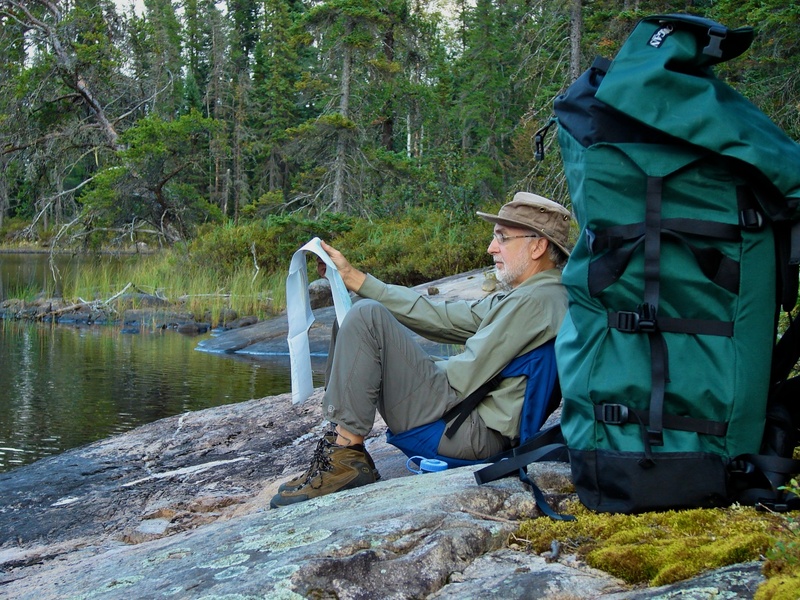 Given that its stated goal is “to produce a set of maps to help prospective visitors plan and mount canoe trips in the Wabakimi area” you may well be ordering a volume or two of the trip maps. We made excellent use of Volume One for the part of the trip from Wabakimi Lake back to the Little Caribou lake take-out. Check out the section on route maps here. 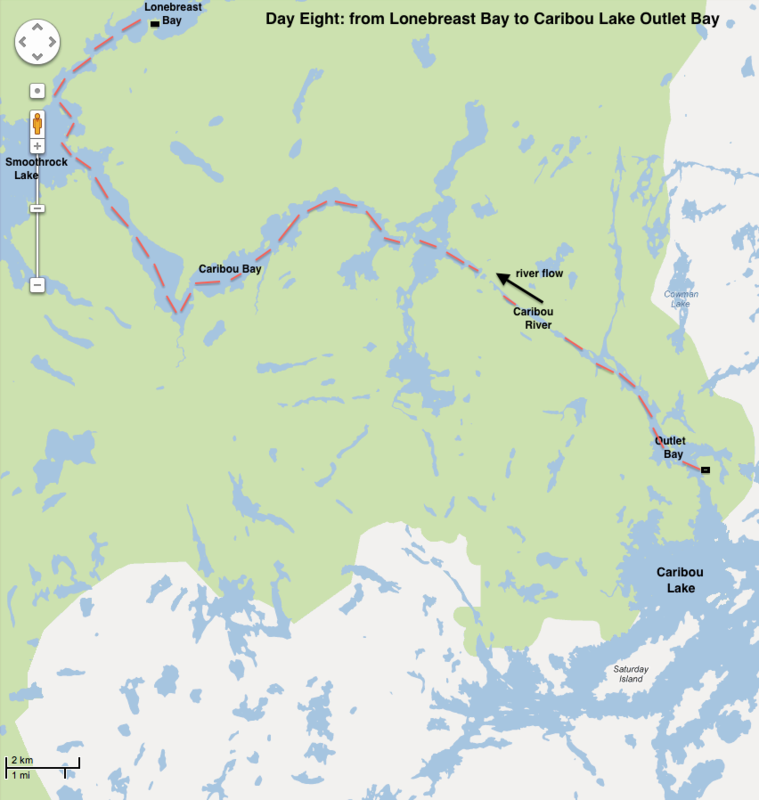 If the Allanwater River, Lower Wabakimi Lake, and then the stretch to the top of Little Caribou Lake are in your plans, you cannot go wrong with the annotated map set Allanwater_to_littleCaribou.pdf. Click on the title to access. A recent (June 2014) on-line map source discovery is this Ontario Government Ministry of Natural Resources site – it actually provides better detail than the Topo Canada maps on my Garmin Oregon 450. 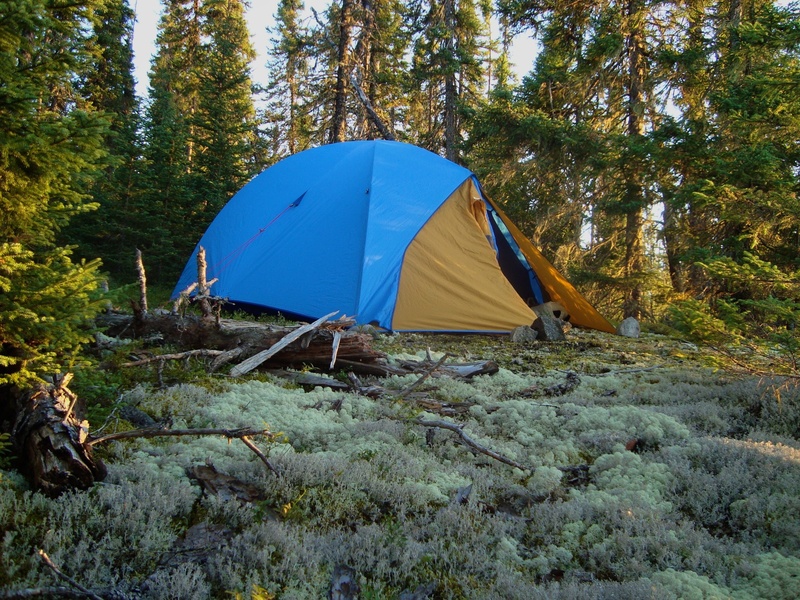 You can buy Wabakimi Provincial Park camping permits at the Mattice Lake Outiftters headquarters – or you can phone the Park office in Thunder Bay at (807) 473-3031 and do the transaction over the phone. 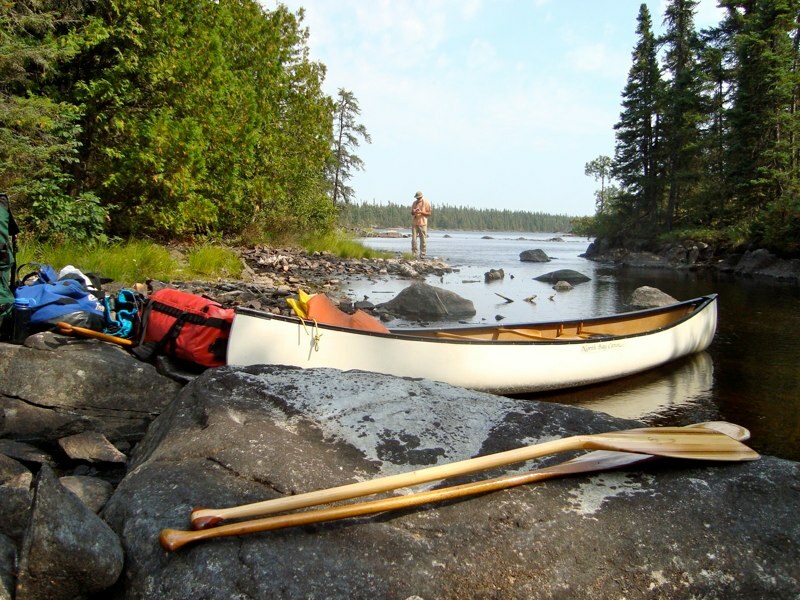 This entry was posted in wilderness canoe tripping and tagged adventure travel, Allan Water Bridge, Allanwater Bridge, Armstrong Station wabakimi, Beckwith Cabins, Best Island, Brennan Falls, Caribou Lake Road, Granite Falls, Ogoki Lodge, Ogoki Wabakimi, Oliver Lake, VIA Rail canoe, wabakimi camping, Wabakimi canoeing, Wabakimi centre of the universe, Wabakimi Lake, Wabakimi Provincial Park, wabakimi rivers, Wendel Beckwith, Whitewater Lake. Bookmark the permalink. Claire, nice to hear someone else has done the “train to river head” approach. 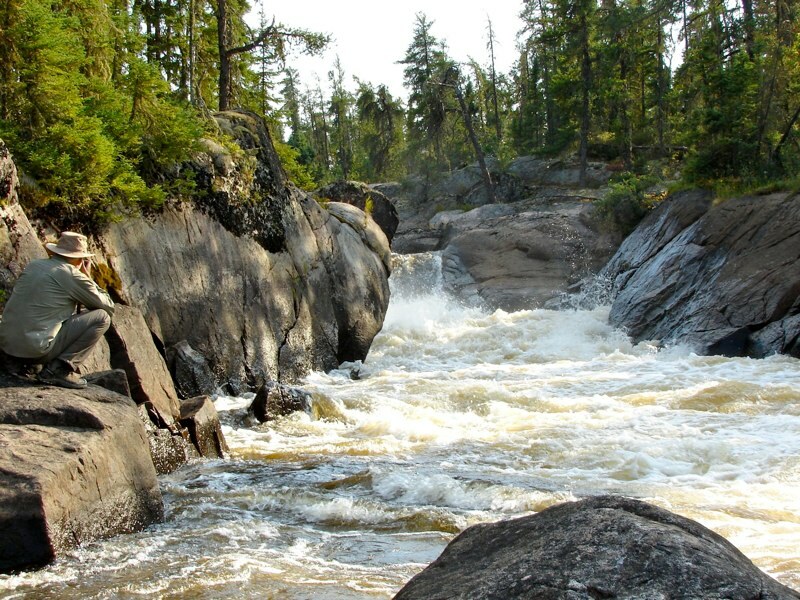 It is especially suitable to Wabakimi where you most likely will end up taking the train to get into the park anyway. Re: a nine-day trip that would allow you to get to the Beckwith Cabins on Whitewater Lake. 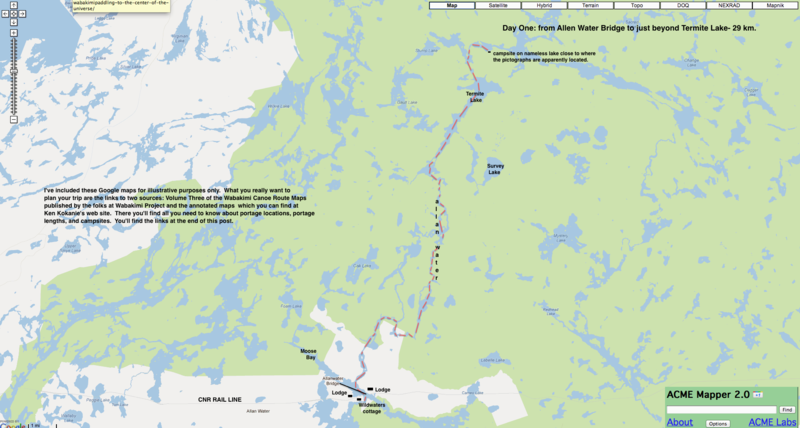 My best suggestion would be to take the 2010 route we did from Allan Water Bridge down the river of the same name to Lake Wabakimi and then head NE to Kenoji Lake and on to Whitewater. The problem is – it would take a week at least to get to Best Island. The solution? 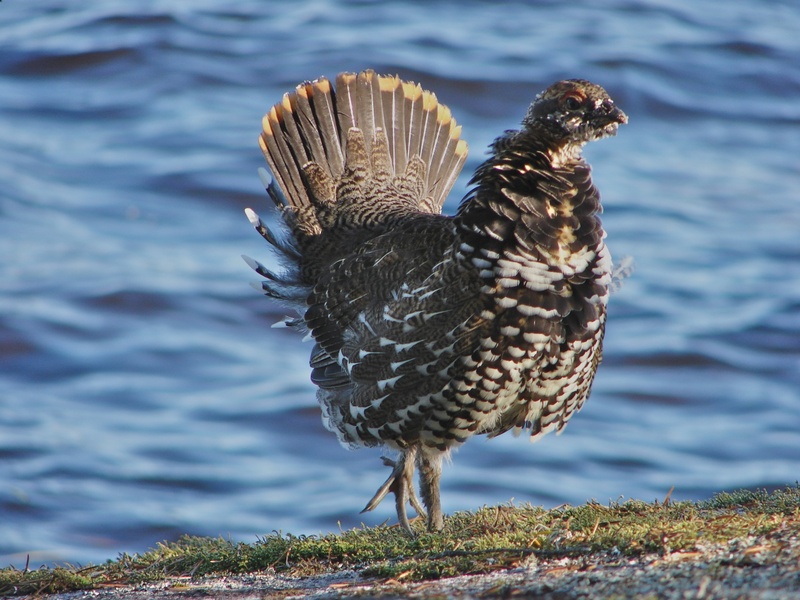 Embrace the idea of Don Elliott of Mattice Lake Outfitters picking you up at the south end of Whitewater Lake. I am guessing the plane ride would cost about $750. 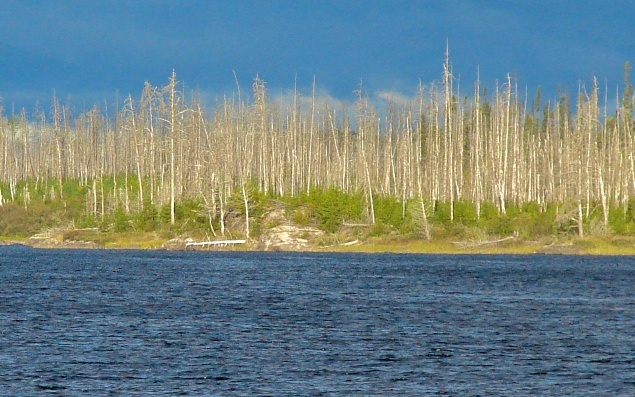 but it would eliminate a three or four day paddle back to Little Caribou Lake and the road to Armstrong. 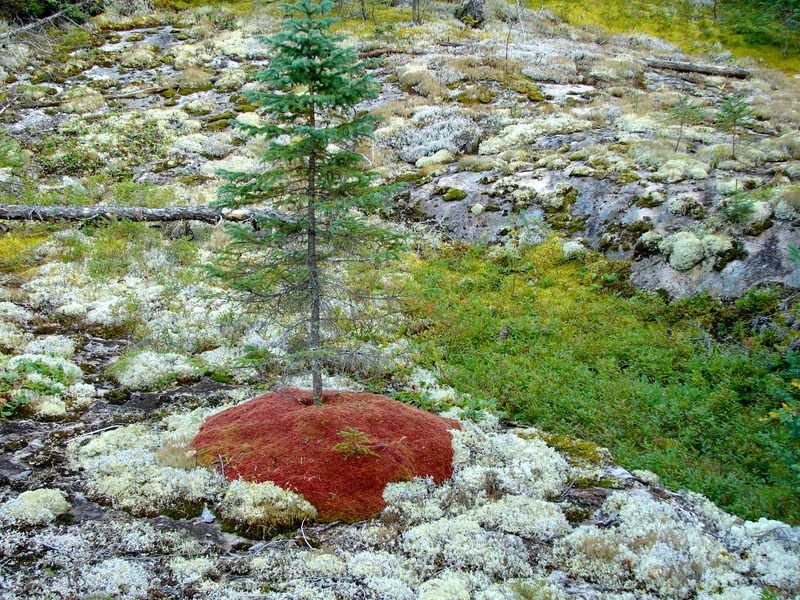 It would also be a great chance to get some aerial shots of the boreal forest and the maze of lakes and rivers below. One other suggestion I have if the above is not possible is to get in touch with Clement Quenville who lives at Armstrong Station and has done a couple of shuttles for my brother and I. In 2012 he picked us up at Lake Bukemiga at the end of our Kopka trip. He knows all sorts of roads that do not even seem to appear on maps! He might have a suggestion for you guys that would allow you to shave a few days off the trip and squeeze it into nine days. If you are a myccr forum member you can find him under the name “wabakimi clem”. My brother and I are splurging this summer and taking a plane ride from Armstrong Station to Rockcliff Lake at the beginning of our trip. It would have been at least a one-week paddle to get up to the lake otherwise. It will be my first bush plane drop-off ever- and I am excited. I’ve come to accept the cost as reasonable after listing in my mind all the expenses that running a bush plane must incur for the owner/pilot. Re: getting off the train at Bath Lake on the way in. 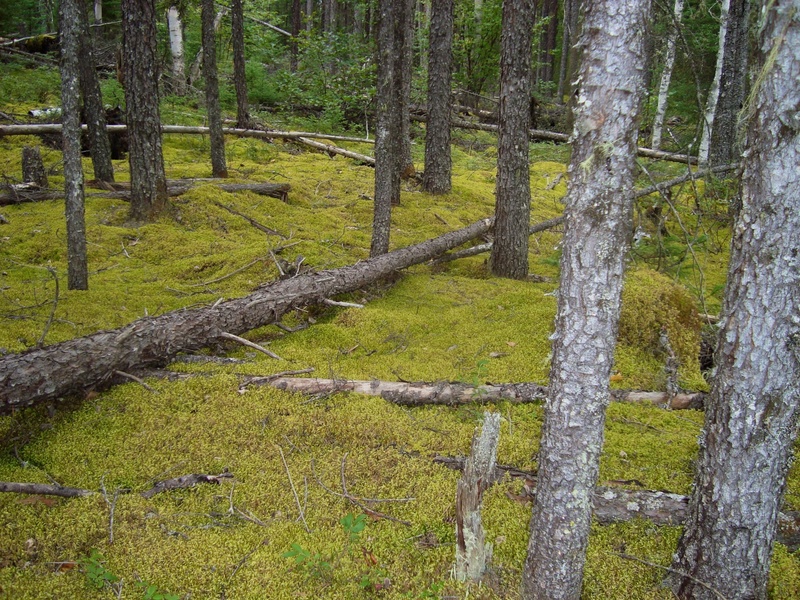 There is a large clearing by the lake shore at the end of the 50 meter portage trail from the train tracks where you could camp. The only problem would be the darkness. It would be anywhere between 10 p.m. and midnight – or even worse if the train is running even later. Your head lamps and a bright lantern would help; it wouldn’t be much fun if it was raining! Maybe you’d hit the full moon dead on! I don’t know the mileage marker for Bath lake – you’d have to dig that up. Phil Cotton would be a good be to know what it is. 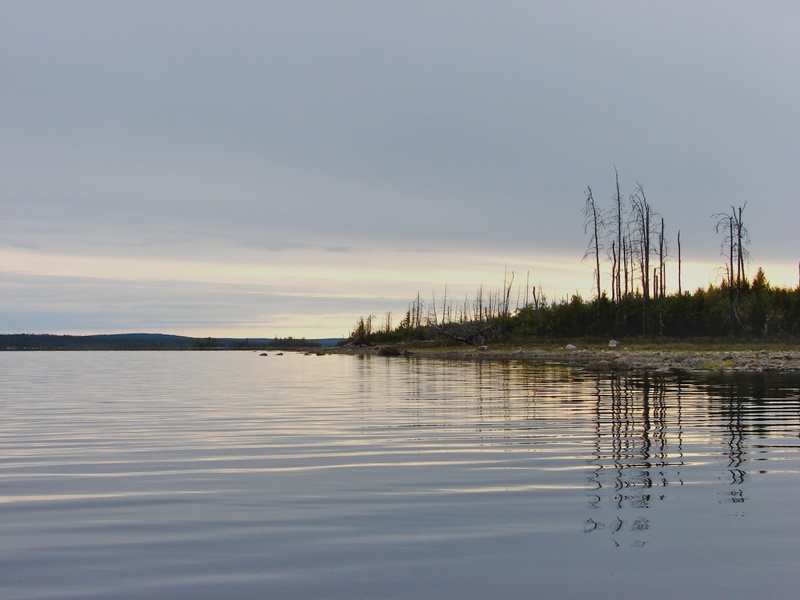 From Bath Lake you would go down the Brightsand River, up to the north end of Smoothwater Lake, maybe down the Berg River to the Ogoki River into Whitewater Lake and then come back via McKinley Bay and then head towards Caribou Lake for a take-out at Little Caribou lake. 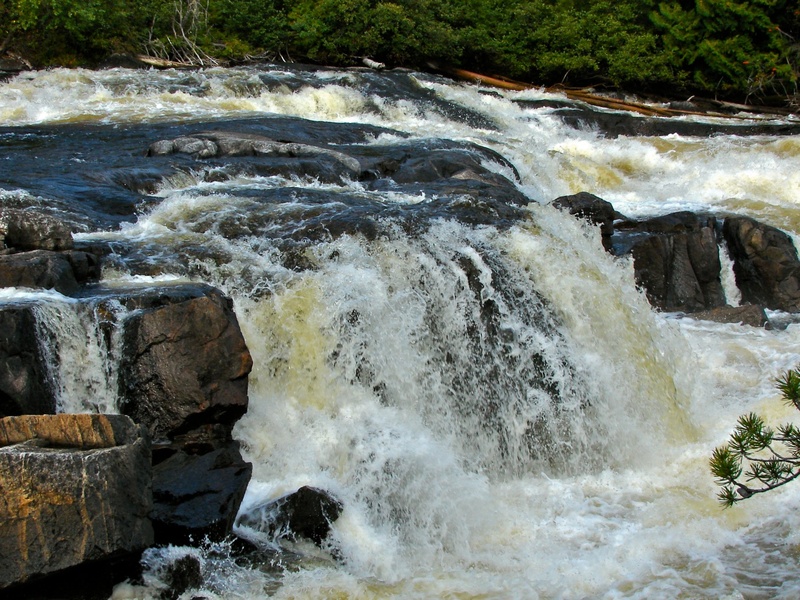 I think the Allanwater River would be a better way to go than the Brightsand, given the chance to see Brennan Falls and Granite Falls. Whew – lots of words here. I hope I answered a few of your questions without muddying things even more! Let me know if anything is unclear. 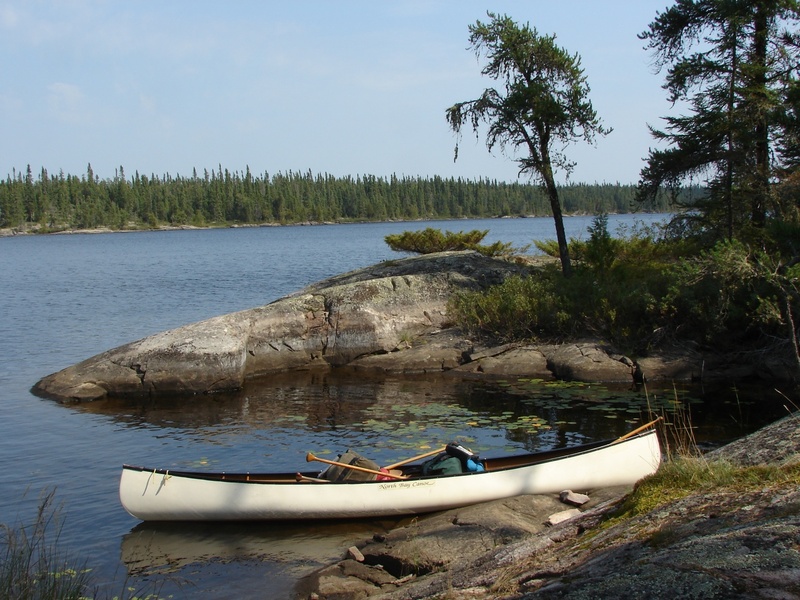 Dan, Wabakimi is a great canoeing destination with a thousand different possible trips depending on time and money (if you want to get into bush plane rides or not). 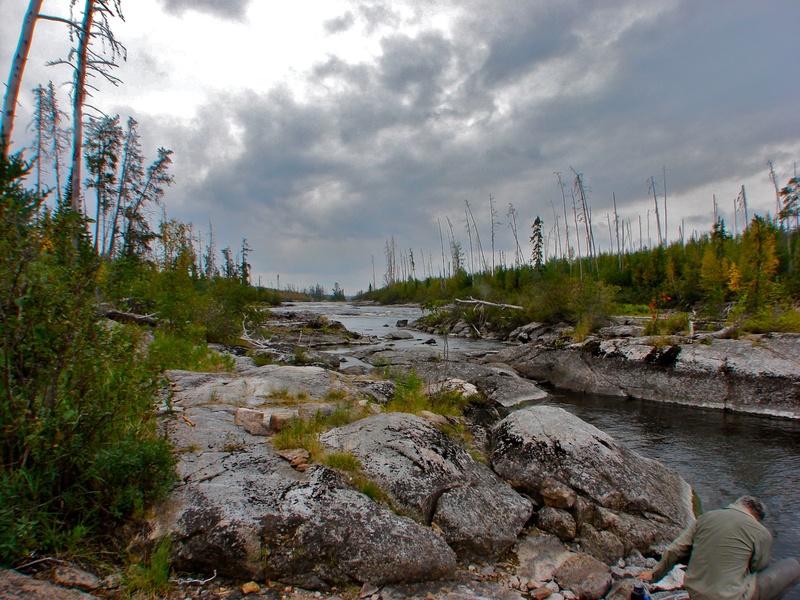 The trip down the Allan Water to Wabakimi Lake and then on down the Ogoki River to Whitewater Lake and back to Smoothrock Lake and the Caribou River was our first Wabakimi trip – and we were hooked after that! No argument from me on that one! And 36 days out there – solo? – is quite the test. Congrats on doin’ it – and lovin’ it! 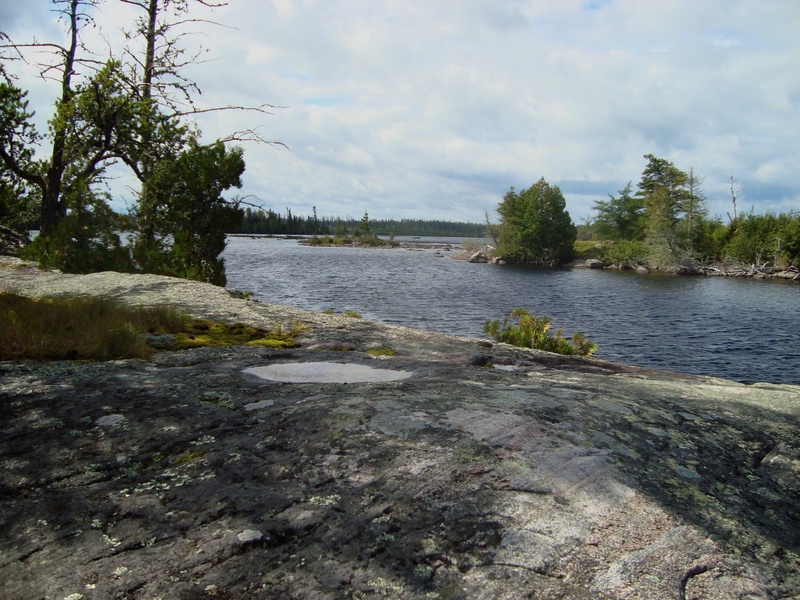 My bro and I will get back there one year soon thanks to our sampling of what has to be a paddlers’ paradise. BTW – Where is the link to your trip write-up? 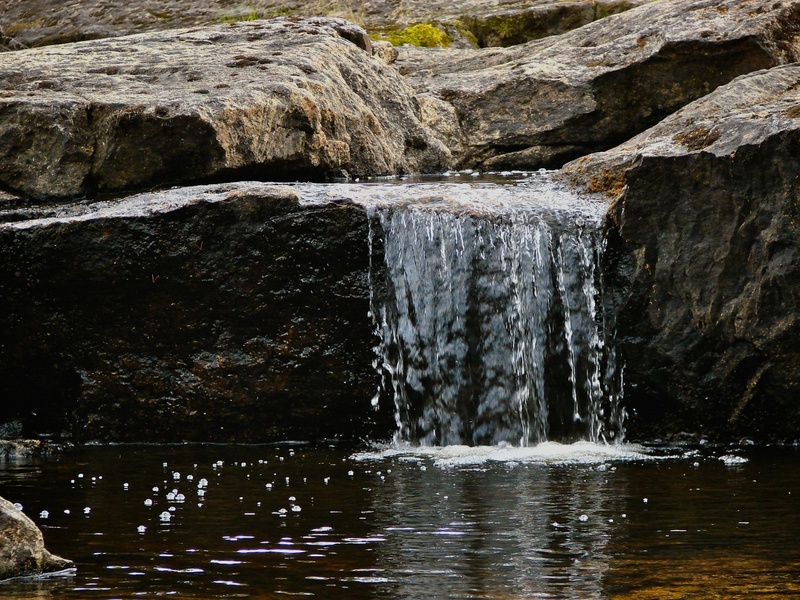 I’d love to see the water you covered and the pix you took.